I found the book a shade disappointing, with an almost incomprehensible plot that relied far too much on coincidence and got a little tedious in the middle as our hero ran around over the moors of Scotland, dodging the bad guys. I’d seen the Hitchcock film before but my memory of it was vague, although I remembered enjoying it. So time for a refresher! Ah, Hitchcock! 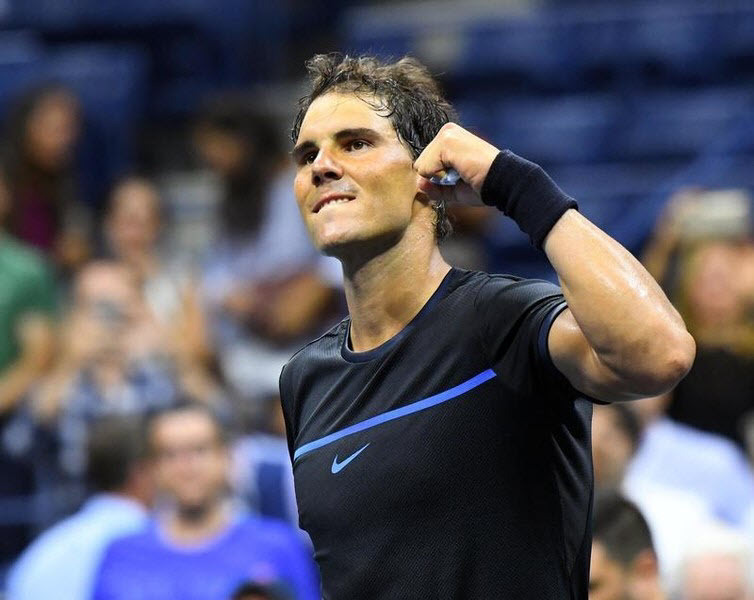 He’s the master! Scudder has been replaced by a mysterious female foreign agent, Annabelle Smith (Lucie Mannheim). 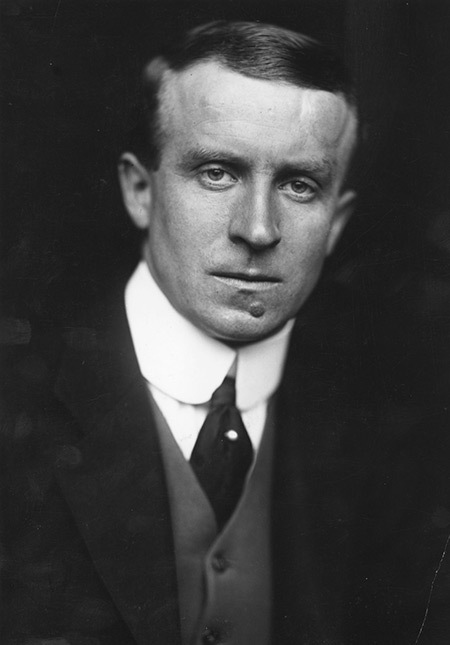 Hannay has been at a music hall where, in the midst of a performance by Mr Memory (the clue to his act is in his name), shots ring out causing the audience to flee. Hannay finds himself protecting the beautiful Miss Smith, who begs him to take her to his flat. 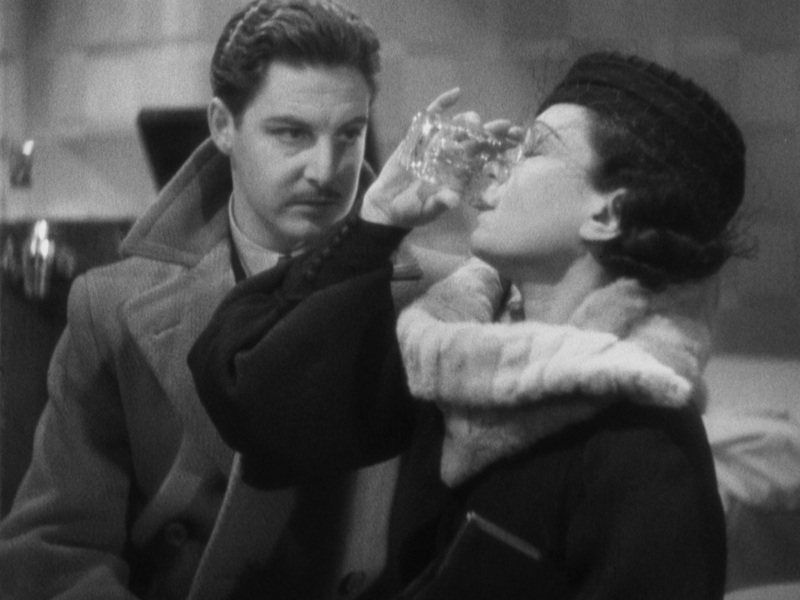 Once there, rather than burbling incoherently about vague conspiracies in far-off lands as Scudder does in the book, Annabelle tells Hannay (Robert Donat) that there is a plot to steal plans from the British Military and that she must go to Scotland to meet a man in order to stop it. Later that night, she is stabbed and gives a marvellously ham death scene worthy of Jimmy Cagney at his finest. Fortunately she has left a map of Scotland, carefully marked with the relevant location, and Hannay decides to take her place, especially when he realises the police think he’s the one who murdered her. This actually gives Hannay a reason to go to Scotland and a purpose when he gets there. In the book, he goes to Scotland merely to fill in a few weeks which (for no reason that made sense to me) Scudder had insisted he wait before going to the authorities. So book Hannay wanders aimlessly around the countryside followed by the baddies on whom he chanced by coincidence, while film Hannay goes to Scotland intentionally to thwart the baddies. The second major change that Hitchcock makes – and this should come as a surprise to no-one – is to introduce a blonde! The book sadly lacks female characters in general, and a love interest for Hannay in particular – clearly Buchan didn’t realise that all great action heroes must have a love interest! Hitchcock puts this right. 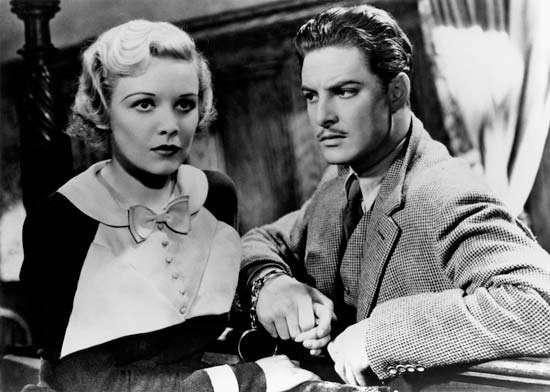 As Hannay travels up to Scotland on the train, he encounters Pamela (Madeleine Carroll). This first meeting doesn’t go well (and frankly, since he bursts into her carriage, grabs her and kisses her, this is not altogether surprising), but the audience know that they are destined to meet again. Pamela is fun – she’s feisty and independent and not easily won over by Donat’s rough wooing, but she’s also a woman of sense and intelligence who, once she’s convinced he’s the good guy, gives him real help. There’s lots of stuff that seems a bit sexist now, but it was 1935, and I don’t care. The Scottish scenes are great. 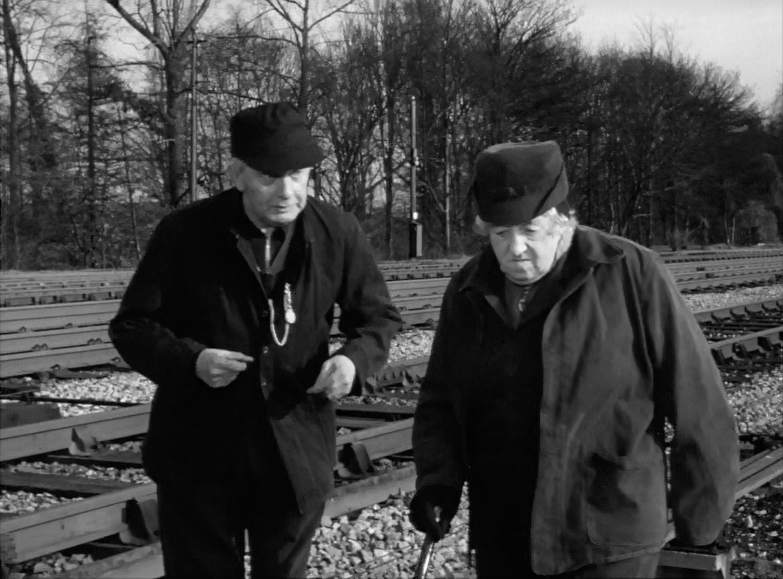 Hitchcock clearly hired real Scots for the bit parts of railway guards and so on, with the result that the accents are authentic, and he moved the locations from the lowland moors to the Highlands – much more dramatic scenery, better suited to film, even if the bulk of the film was probably shot in the studio. 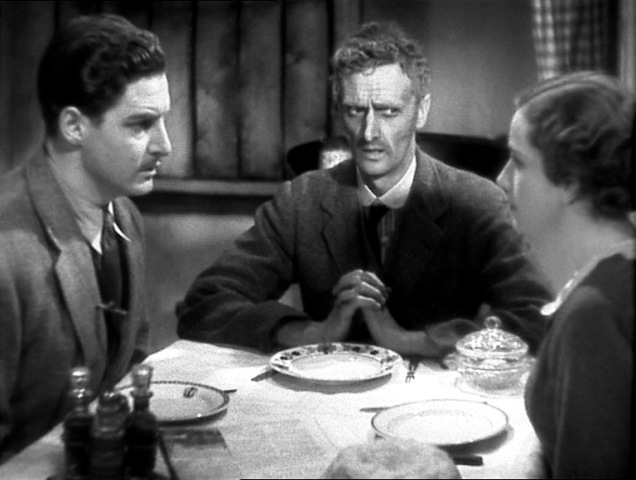 John Laurie (much later Private Frazer in Dad’s Army) shows up as a grim bullying crofter with Peggy Ashcroft as his put-upon wife. The plot plays out well, with a lot of humour in the scenes between Hannay and Pamela, and plenty of drama and danger to provide the thrills. 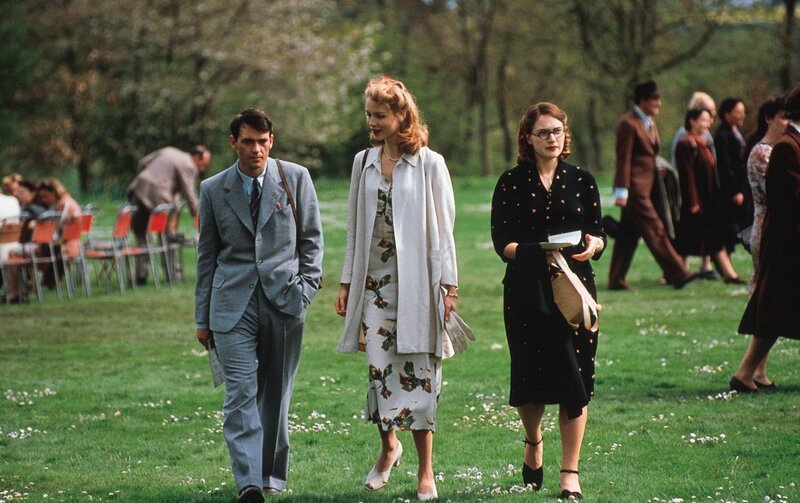 The dénouement, I must admit, is nearly as silly as the one in the book, though quite different – but it’s very well done, both dramatic and quite moving, and at least it makes sense. The two stars give sparkling performances, but they’re not alone – most of the actors in the smaller roles are excellent too. Poor Lucie Mannheim did remind me a little of Lina Lamont in Singin’ in the Rain – she has all the exaggerated over-dramatic gestures of the silent era, especially in her death scene, but it all added to the fun. The film itself shows its age a little at points, such as when Hannay is running and it gives that speeded up impression you get in movies of the Charlie Chaplin era. But on the whole it has held up brilliantly – exciting, fast-paced and thoroughly entertaining. So the choice is easy this time. 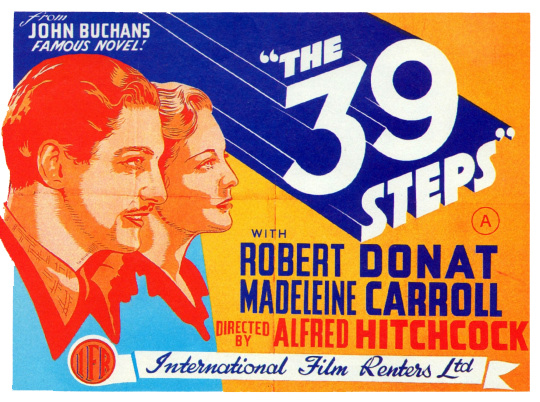 Hitchcock’s changes turned an OK book into a great film – a true classic. If you haven’t seen it, you should! Buchan described the book as a “shocker” and that’s basically what it is – what we’d now call an action thriller. Published in 1915, its first audience knew that whatever Hannay did, he didn’t succeed in preventing war, so that couldn’t be the point of the conspiracy or of the attempt to defeat it. Not unnaturally, the Germans don’t come out of it well, and unfortunately neither do the Jews (no Jews actually appear in it, but they’re still referred to in what I wish were outmoded anti-Semitic terms) nor the Southern Europeans – thankfully, it’s been a while since I heard the word “Dago” being used. This is always a problem with books of this era and sometimes I find it easier to overlook than others, I think based on whether the author simply uses the words or whether it feels as if he really means to be derogatory. I found Buchan borderline – it bothered me, but not so much I couldn’t look past it and enjoy the story. The story itself is mostly a simple chase round the moorland in the south-west of Scotland, a place Buchan knew well in real life. This centre section between Scudder’s murder and the dramatic dénouement forms the bulk of the book, and is divided into chapters each of which forms a little story on its own. (In the introduction, there’s an extract from a letter from an early reader, a soldier in the trenches in France, thanking Buchan for this format since it allowed him to read and assimilate a chapter any time he got a moment of calm. “The story is greatly appreciated in the midst of mud and rain and shells, and all that could make trench life depressing.”) Each mini-story involves someone Hannay meets during his travels – a road-mender, an innkeeper who would like to be an author, an aspiring political candidate, etc. 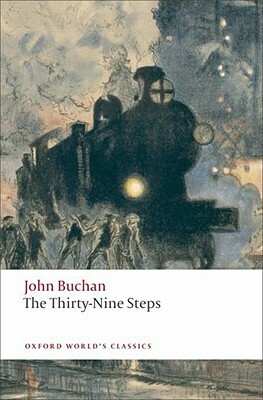 Most of these are educated men, so that the bulk of the book is in standard English, but in the occasional working-class encounter Buchan gives us some excellent Scottish dialect. Hitchcock’s version. Woman? What woman?? There is no woman! The framing story of the conspiracy I found frankly incomprehensible for the most part, especially at the beginning when Scudder is clearly referring to all kinds of people and events that were probably familiar to a contemporary audience but mostly weren’t to me. It does become clearer at the end, although it also all becomes rather silly. However, I’m not a soldier in the trenches of WW1 nor even a worried mother waiting at home, so the thrilling aspects of trying to put a spanner in the works of the nasty Hun don’t resonate with me as they would have done at the time. In truth, I was finding it a bit tedious in the middle – there’s an awful lot of coincidence and near-miraculous luck, and it’s one of those ones where the hero just always happens to have the knowledge he needs: how to break codes, for example, or how to use explosives. But when it reaches its climax and I finally found out what the conspiracy was all about, I found myself nicely caught up in it (once I had switched off my over-heating credibility-monitor). 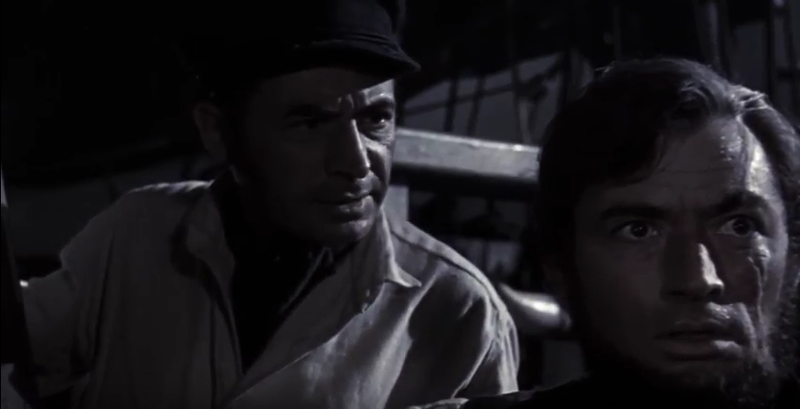 Haskin’s 1953 film is set in southern California and has a scientist, Dr Clayton Forrester (Gene Barry), as hero, and the time is the then present. To give the story the more human touch a film really needs, Forrester is provided with a love interest, Sylvia, played by Ann Robinson. Empire has gone as a theme, to be replaced by contemporary fears relating to the Cold War and the mass destruction of all-out global nuclear war, and this works reasonably well. 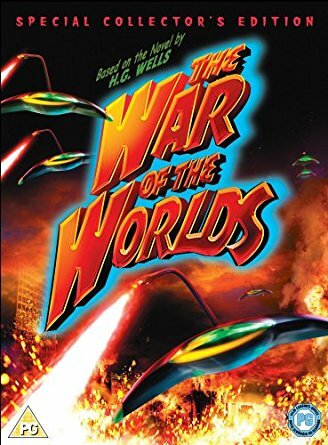 There are references to the battle between traditional religious and evolutionary theories and the film gets a little lost in deciding whether Martians, being more advanced, are closer to their Maker, or – and it really glosses over this – are enemies of man’s God as much as man. Let’s just say that the film suggests God plays a significant role in their annihilation. I found it a little messy, but probably wouldn’t have noticed it at all if I hadn’t been comparing to the book. Spielberg’s 2005 version is also set in its present and the location is in and around New York and Boston. 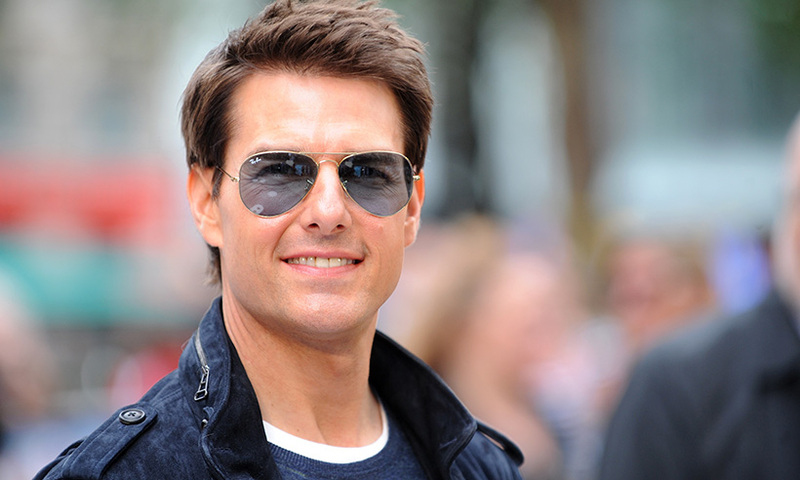 Tom Cruise plays a crane operator who just happens to get caught up in events. 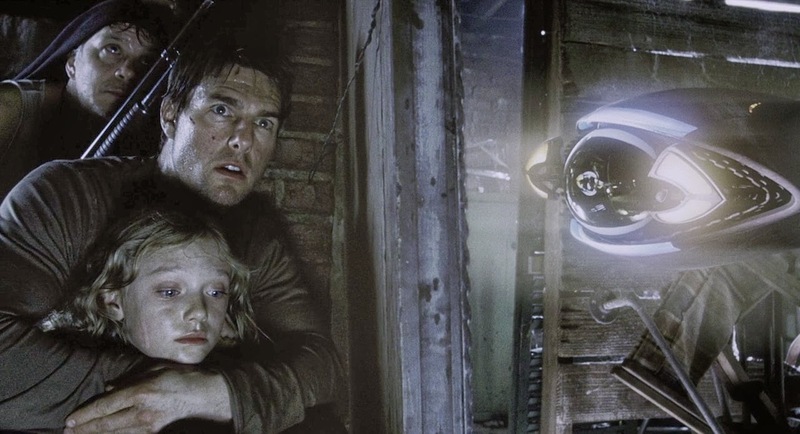 Spielberg’s humanising involves the rather clichéd story of an absent father suddenly thrust into peril with his two children, giving them all a chance to learn to understand and respect each other better. It’s a bit saccharin, but then it is Spielberg. Spielberg’s updating of the Empire aspect is to throw in a couple of fairly blatant references to 9/11 – “Is it terrorists, Dad?”, planes falling from the sky and tall buildings being destroyed. But there’s no feeling of depth to these references and I actually felt they were in rather poor taste, to be honest. If there’s anything in the film about evolution, I missed it. Haskin’s aliens are from Mars. 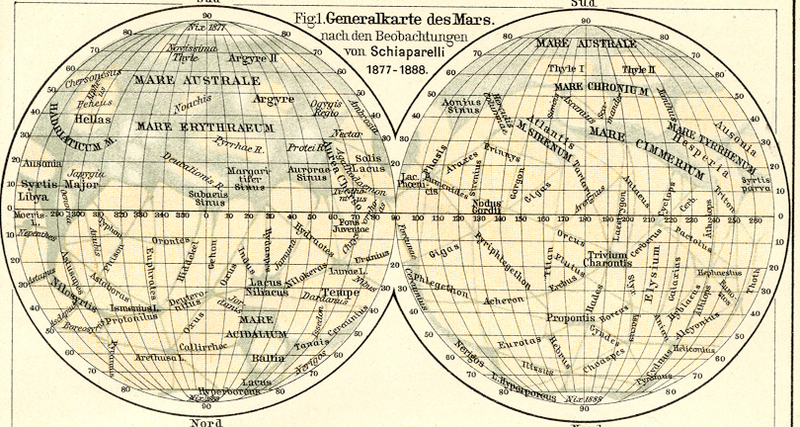 It surprised me that this would still have been considered a possibility in 1953 but wikipedia tells me people were still discussing the potential existence of Martians as late as the 1960s. Spielberg gets round the problem by never saying where the aliens come from. By 2005, he’d have had no other option obviously, but it does mean all the stuff about the red weed choking the earth loses its resonance a little. 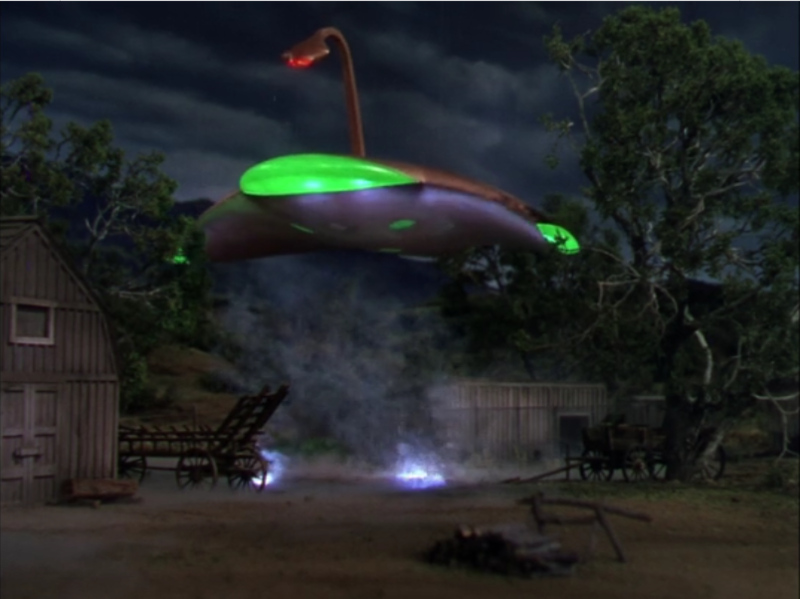 (Mind you, Haskin ignores the red weed completely – special effects budget overspent maybe?) 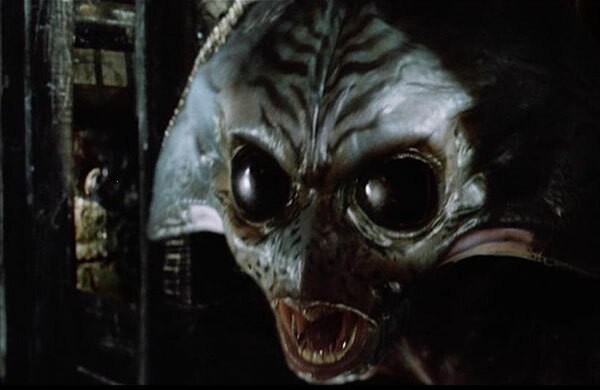 Neither alien looks much like the one in the book, but since it’s basically described as a kind of round, brown blob, I can quite see why the directors both went for something a bit more exciting! 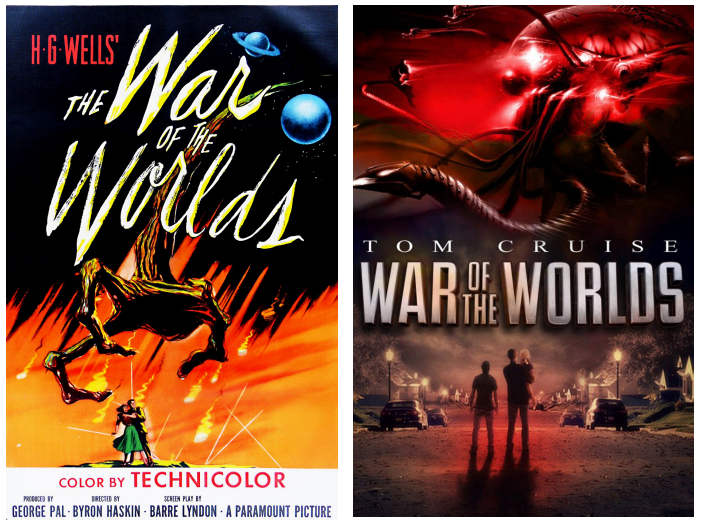 Which brings me to the one thing the films both have that the book doesn’t – special effects. I started with Haskin’s version and thought that some of the effects seem a little clunky now, but that others are still great. Apparently it won an Oscar for them and I certainly feel it was well deserved. The destruction of Los Angeles is particularly impressive and the heat ray is suitably terrifying even if it looks not unlike a big flame thrower. The war machines aren’t really like the ones in the book but they’re very good nevertheless. I was glad I’d watched it first though, because not surprisingly Spielberg’s effects are vastly superior. 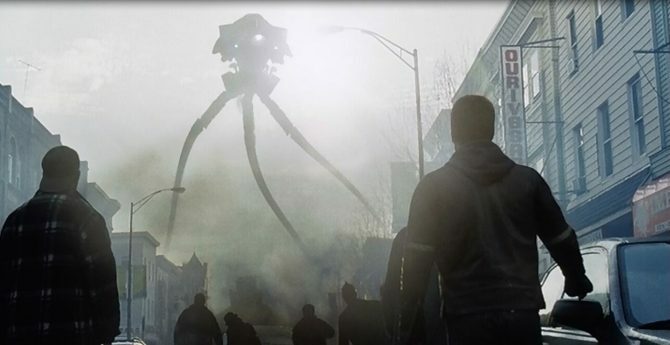 The destruction of New York is brilliant, and the alien machines look just as I imagined them from the book. Plus Spielberg covers the landscape with the creeping red weed which adds to the feeling of horror. Both Gene Barry and Tom Cruise turn in fine performances – Barry more cerebral as a scientist, and Tom doing his action man thing, which works for me. Women and girls in both versions are there very much to scream and be saved by brawny men, I fear. But if I’m ever attacked by a Martian, frankly I’ll scream as loud as I can and hope that Tom comes running to my aid (or Gene, I suppose, if Tom’s busy – a girl can’t afford to be choosy in an emergency), so I forgive them. Both films stick fairly closely to the book in terms of the ending, which was a relief but also means they end somewhat less dramatically than films of this type usually do. In the end, though, the final decision is easy. Gratuitous and irrelevant Tom pic. Because why not? Well, what a little gem this one turned out to be! Written in 1913, it’s clearly inspired by the Jack the Ripper murders but with enough changes to make it an original story in its own right. It’s the perspective that makes it so unique – the Buntings are just an ordinary respectable little family struggling to keep their heads above water, who suddenly find themselves wondering if their lodger could possibly be living a double life as The Avenger. In the book, the victims are drunken women who, to some extent in the mores of the time, bring their misfortunes on themselves. Hitchcock immediately changes this to beautiful blondes, and makes Daisy Bunting, the quiet, respectable daughter in the book, into a glamorous blonde mannequin (a model for clothes). This allows him to do a bit of innocent titillation by taking us backstage at her girly show and letting us glimpse lots of young beauties in states of semi-undress. It also elevates Daisy to centre stage from the rather small role she plays in the book by making her a potential victim of the Avenger. The Buntings in the film are a happy little family with no mention of money worries, taking away in one stroke much of the reason for Mrs Bunting’s moral dilemma as to whether she should report her suspicions of her new lodger to the police. Joe the policeman is still in love with Daisy and, at first, she with him. Joe is unfortunately rather ham, and looks considerably more sinister and crazed than the lodger – I’d have had him arrested just on the grounds that he looks as if he ought to be a murderer! 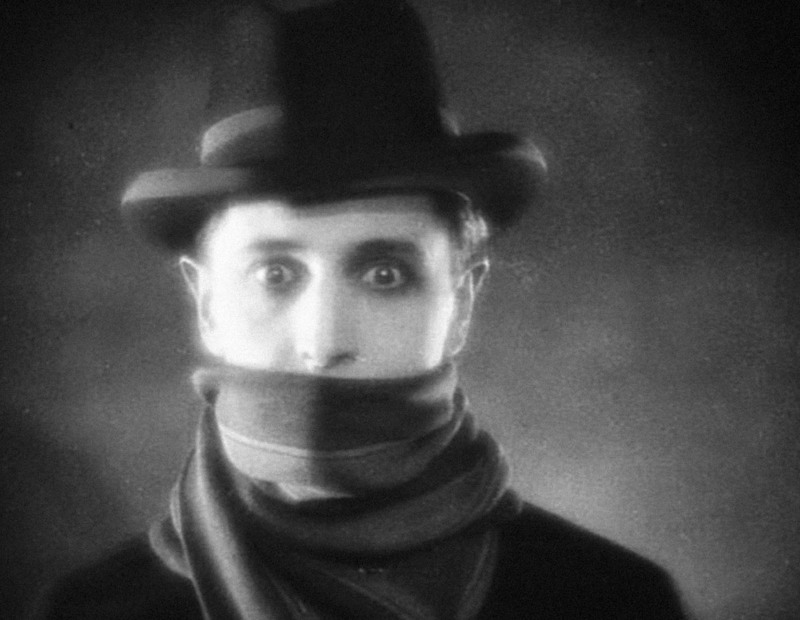 Ivor Novello as Mr Sleuth the lodger, though, looks beautiful and sinister and tortured. I fell in love with him within about a minute and a half, so could quite understand when Daisy found him irresistibly attractive too. Poor Joe! I bet he preferred the book. As the film goes on, it diverges further and further from the book so that by the time it ends, it really has very little to do with the original in terms of plot. As so often with Hitchcock, though, the movie is still superb in its own right. I’m no film expert as you know, but some of his techniques feel very modern for the time: the use of flashing words to introduce the concept of the blonde victims and the girly shows; the way he shows the latest news being spread via newspapers (in scenes that reminded me somewhat of the later Citizen Kane) and radio – an interesting update from the book which, 14 years earlier, doesn’t mention radio at all; and a brilliant and completely Hitchcockian (is that a word?) moment when we see the Buntings listen to their lodger pace back and forth in his room above theirs – and then Hitchcock lets us see him pacing from below, filmed through a glass floor. 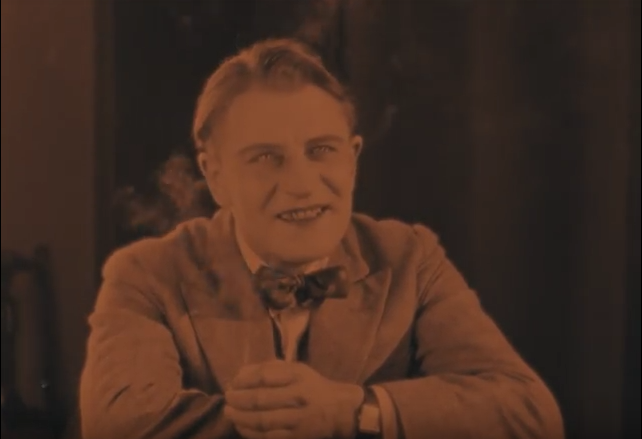 The scene cards (yeah, I don’t know the technical term for those…) look more modern than is usual in silent films too – they are in colour for a start, often flash, and have a kind of jazz age style about them somehow. 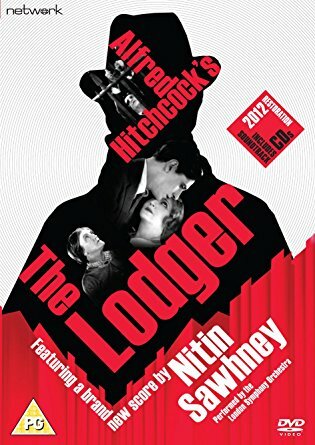 Although Hitchcock changes the plot and loses some of the psychological depth as a result, he does a brilliant job with the creepiness and suspense, and again it’s not at all clear whether the lodger is the Avenger until late on. Peril a-plenty stalks our poor Daisy, while Joe does some seriously jealous tooth-gnashing. 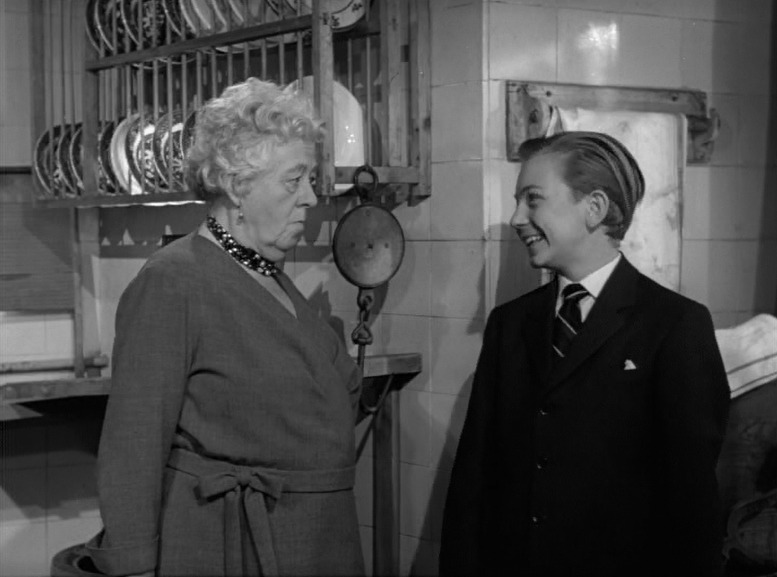 Mrs Bunting, as the worried mother and landlady, is the stand-out performance for me, though I was impressed by most of the cast, especially the women. 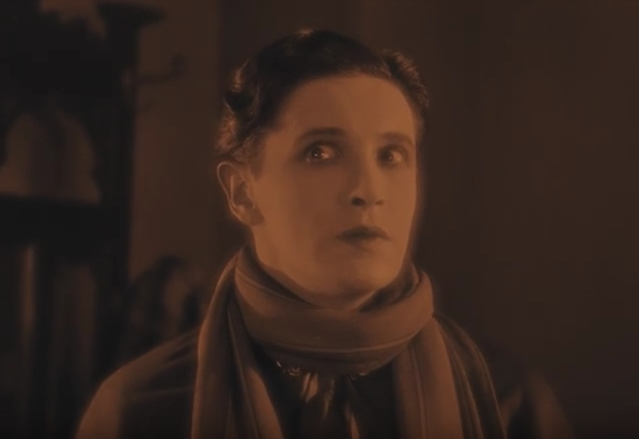 Ivor Novello’s performance is variable – sometimes he feels a little ham too, like poor Joe, but at other times he’s so good at being a tortured soul that it’s easy to understand why the women especially so badly want him to be innocent. The film was restored by the British Film Institute in 2012 and given a new score by Nitin Sawhney. The restoration is great – the film is pure pleasure to watch, and I wouldn’t often say that about a film of this age. I found the score less successful overall. 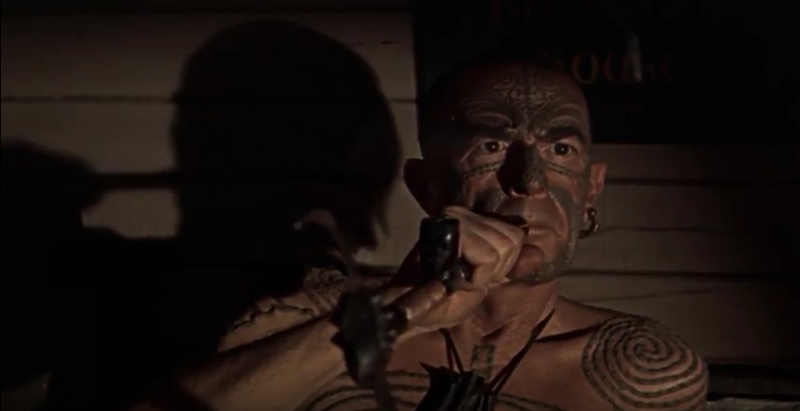 Sometimes it adds greatly to the atmosphere of the film, but at others it sounds rather incongruous – too modern and not always quite in synch with the action. Halfway through, the orchestral music gives way to a sung love song which, while fine on its own account, simply seems out of place. Well, what a little gem this one turned out to be! Written in 1913, it’s clearly inspired by the Jack the Ripper murders but with enough changes to make it an original story in its own right. It’s the perspective that makes it so unique – the Buntings are just an ordinary respectable little family struggling to keep their heads above water, who suddenly find themselves wondering if their lodger could possibly be living a double life as The Avenger. Lowndes does a brilliant job of keeping that question open right up to the end – I honestly couldn’t decide. Like the Buntings, I felt that though his behaviour was deeply suspicious, it was still possible that he was simply what he seemed – an eccentric but harmless loner. With the constant hysteria being whipped up by the newspapers, were the Buntings (and I) reading things into his perfectly innocent actions? Of course, I won’t tell you the answer to that! ….Mrs Bunting returned to the kitchen. Again she lighted the stove; but she felt unnerved, afraid of she knew not what. As she was cooking the cheese, she tried to concentrate her mind on what she was doing, and on the whole she succeeded. But another part of her mind seemed to be working independently, asking her insistent questions. ….The place seemed to her alive with alien presences, and once she caught herself listening – which was absurd, for, of course, she could not hope to hear what Mr Sleuth was doing two, if not three, flights upstairs. She wondered in what the lodger’s experiments consisted. It was odd that she had never been able to discover what it was he really did with that big gas-stove. All she knew was that he used a very high degree of heat. But, on the other hand, there’s nothing definite to say he’s the killer, and Mrs Bunting rather likes him, and feels sorry for him since he seems so vulnerable somehow. And, just as importantly, the Buntings rely totally on the rent he pays. Lowndes starts the book with a description of the extreme worry and stress the Buntings have been under over money, which makes their reluctance to report their suspicions so much more understandable. For what if they go to the police, and it turns out he’s innocent? He’ll leave, of course, and what will they do then? But what if he’s guilty and they do nothing – does that make them guilty too? It really is brilliantly done – great characterisation and totally credible psychologically. The other aspect Lowndes looks at is the role of the newspapers in whipping up a panic (perhaps not undeservedly in this instance), printing lurid details of the horrific murders, and giving out little bits of dodgy information as if they are facts. The Buntings have a young friend, Joe, who’s on the police force, so they get access to more of the truth, though the police are thoroughly baffled. As the murders mount up, so does the tension, and we see both of the Buntings becoming more and more obsessed with reading every detail of the case, desperately hoping for something that will prove their suspicions wrong. It surprised me on re-watching the film just how different it is from the book on which it’s based. 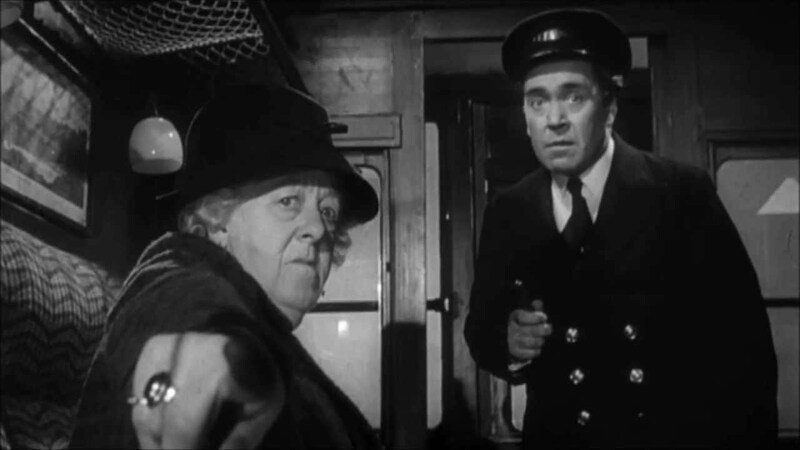 The basic premise remains the same, that Miss Froy disappears during the train journey and Iris sets out to find her, but the tone of the film is much lighter and Hitchcock has changed the emphasis in several places. Firstly, Iris is not particularly likeable in the book. She starts out as one of a rude, noisy crowd in the hotel, alienating the other guests and being insufferably superior to all and sundry. She is travelling alone on the train because she has had a falling out with one of her friends who is annoyed because her husband was flirting with Iris. 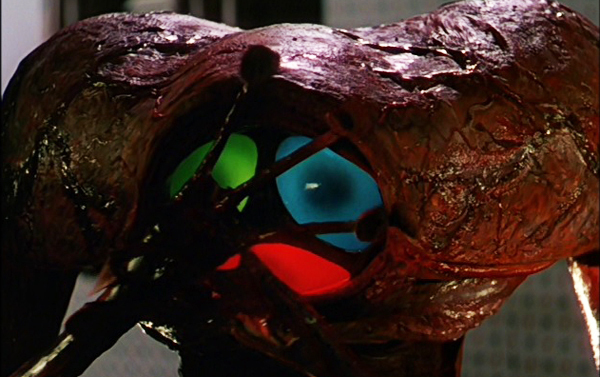 The Iris in the film is completely different. She’s still extrovert, but charmingly so, and clearly loved by her friends. She’s travelling home alone to marry a man her father has more or less chosen for her, out of a sense of duty. 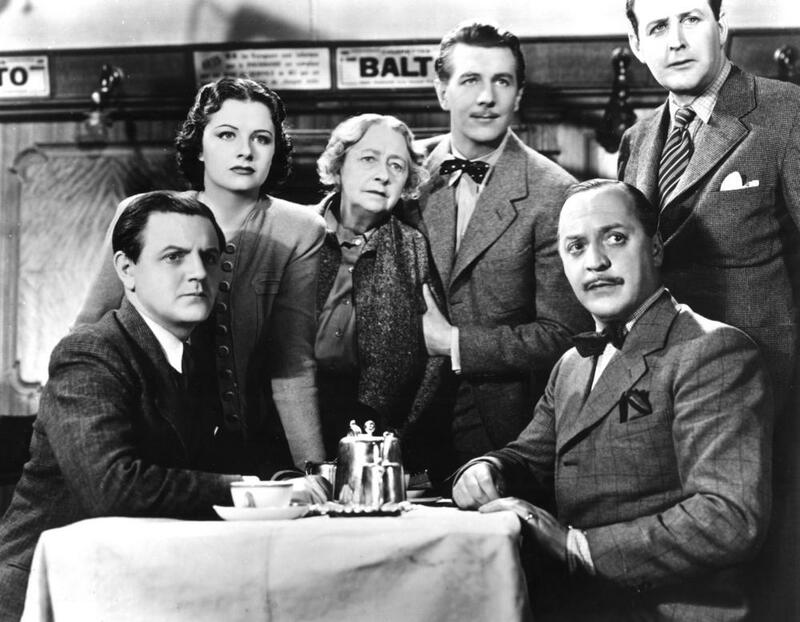 Hitchcock introduces the two other major characters in the hotel before the journey begins. Max the engineer from the book has morphed into Gilbert the musician and his first meeting with Iris is a typical rom-com instant antagonism scene, signalling the romance that will inevitably follow. They are more equal in the film, sparring partners at first, and it’s not long before their mutual attraction becomes obvious. Much more fun than the patronising male attitude Iris had to tolerate in the book. 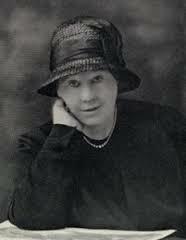 Miss Froy appears in the hotel in order to develop the motive for her disappearance – an entirely different motive than in the book. The change means that Miss Froy, like Iris, is an active participant in her own story rather than the passive and unwitting victim of the book. I’m intrigued that Hitchcock’s version of the female characters feels considerably more modern than the portrayal of them in the book. It feels as if there’s been a generational shift somehow, which is rather odd since there’s actually only a two year gap between them. But it does mean that White’s insightful picture of the subordination of women – the treatment of them as inferior, hysterical, and to be controlled by the men around them – is largely lost. 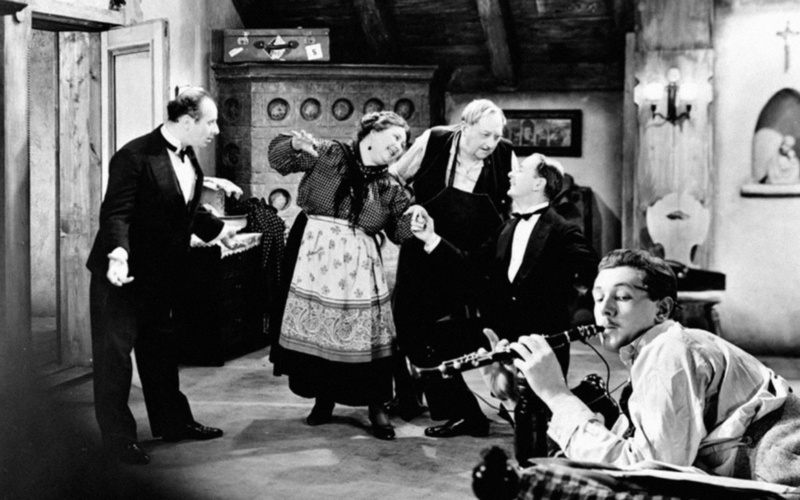 Perhaps White’s portrayal is more English, and Hitchcock had one eye on the less socially restricted American audience? 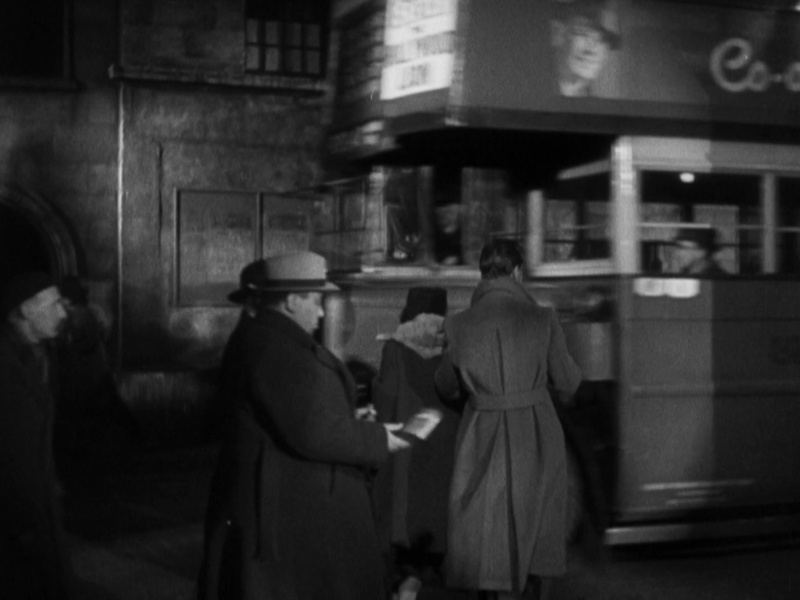 The film also has a scene in the luggage compartment involving some magician’s props that is more or less slapstick. These changes alter the tone entirely, making the film much more humorous than the novel. And hugely enjoyable! So it’s hard to pick a winner this time, since apart from the basic premise, they’re pretty much chalk and cheese. Great chalk and great cheese, though: the book darker, with a wicked edge to the occasional humour; the film frothier, funnier, as much comedy romance as thriller, and with a distinctly patriotic edge. I thoroughly enjoyed both, though for different reasons. The narrator, having survived WW2, intends to write a book about the bombing of Dresden, but can’t seem to think of anything to say. 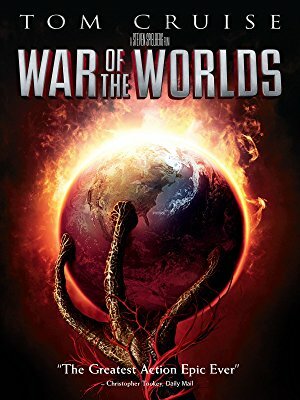 He visits an army buddy to share memories in a bid to get himself started, but his buddy’s wife is angry, thinking he will write yet another book glorifying war. He promises he won’t – and then he begins to tell the fable of Billy Pilgrim. 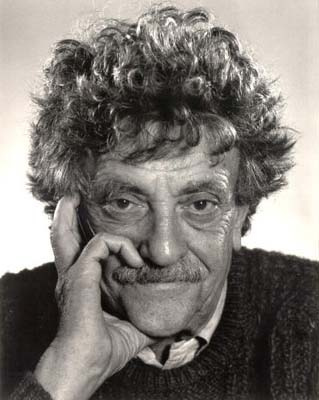 Written during the height of the Vietnam War, Vonnegut uses his own experiences of an earlier war to produce a powerful protest novel, one that concentrates on the effects of war at the human, individual level. 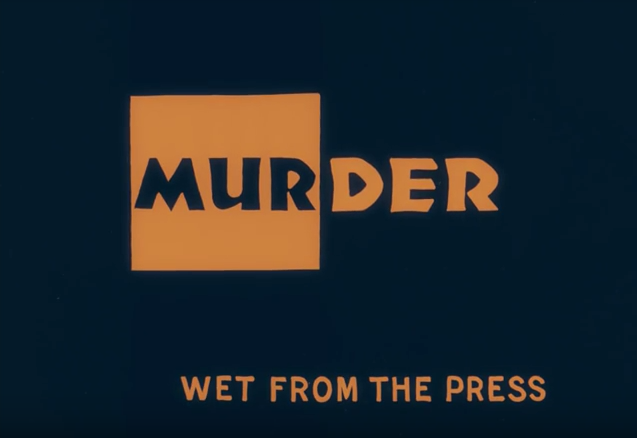 The film begins by showing us Billy typing a letter to a newspaper, explaining that he is ‘unstuck in time’, travelling backwards and forwards through his own life. This is quite an effective short-cut, though unlike in the book it’s not really expanded on later to show why Billy had decided to make his story public. In the book, we are told Billy’s story by a narrator who makes us aware that it’s a fable, a form he is using because he feels he wants to say something profound about the bombing of Dresden. This isn’t mentioned in the film, so that the viewer is put in the position of having to assume that Billy’s life is “real”, which in turn means that the events perhaps take precedence over the meaning – the reverse of what happens in the book. 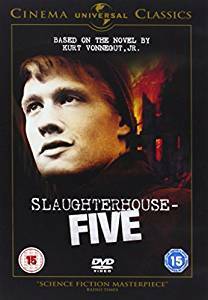 Then the film starts to move through Billy’s life, concentrating on his experiences in WW2 as a prisoner of war first in the camps and then later in Dresden before and after the bombing of the city. Although it shifts in time, the film feels as if it takes a more linear approach to Billy’s life – more or less starting at the beginning and ending at the end, but with detours along the way. The book seems more jumbled, more fragmented, and therefore gives, I feel, a clearer picture of Billy’s disorientation. When I look at the notes I took while watching, it turns out it’s primarily a list of things the film misses out. This is a pity, since I’d say it’s a brave and partially successful attempt to bring a complex and difficult book to the screen. Michael Sacks as Billy gives a good performance though I felt that somehow he made film Billy fit his life better than the Billy in the book did. He doesn’t seem as scared in his early army career, nor as disconnected in the later scenes, and he’s played a little more for laughs – and is perhaps more likeable, in fact. For example, in the book we know he doesn’t ever really love his wife – the major reason for him marrying her is that she happens to be the daughter of his boss. I didn’t feel that came across much in the film – she is made rather annoying, but we don’t get inside Billy’s head to know how he feels about her. I’m not normally a fan of having a narrator doing a voiceover in a film, but with a book that is so concerned with what’s happening inside the main character’s head, I began to feel it would have helped to fill some of the gaps. The science fiction author from the book doesn’t appear either, though I didn’t feel this was a great loss since he seemed a bit extraneous anyway. Much more oddly, the phrase “So it goes” is entirely missing from the film. Anyone who has read the book will know that it’s used as a chorus every time a death occurs, as a sort of semaphore to mark both the inevitability and futility of war. I can see that, without a voiceover, it would have been quite difficult to shoehorn this in, but without it, I felt the point was left rather unclear. In fact, the film seems to send another message, focussing on a small (and rather trite) part of the Tralfamadorian philosophy, that life is made up of moments and we should concentrate on the good ones. Very little is made of the, to me, deeper part of their philosophy – the part that draws Billy into this particular delusion – that if one can travel backwards in one’s life, one can in a sense keep people alive by visiting them in the past, thus reducing the finality of death. 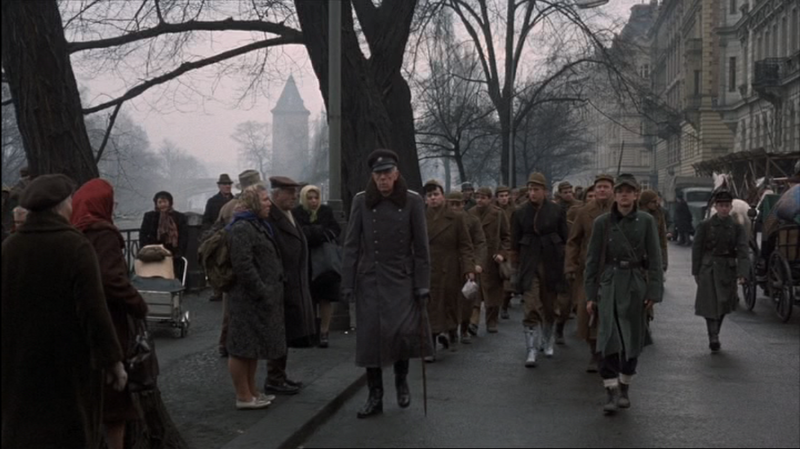 Part of this message comes from another scene that’s also missing – where Billy sees old war movies running in reverse, so that it appears that the dead come back to life, and that the Germans, rather than shooting planes down, are in fact lifting them back into the sky. 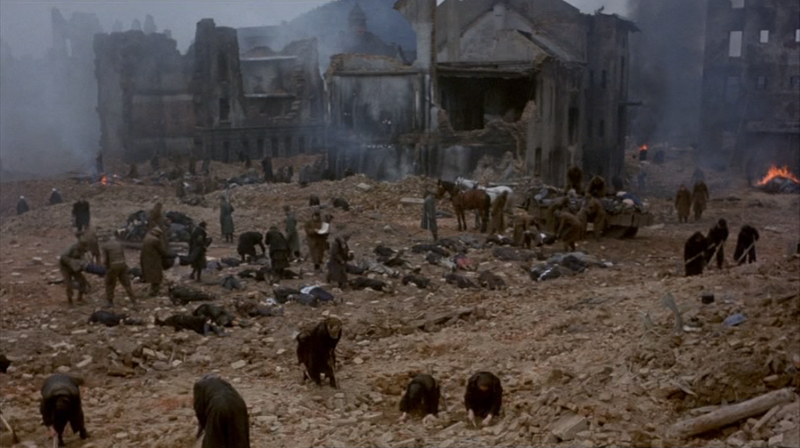 The omission of this central and moving scene is a strange decision indeed. Unfortunately the film left me entirely unmoved in the end. While it’s quite entertaining in parts, and has its shocking moments, overall it lacks the depth and power of the book. It’s too linear, we don’t get a real idea of what’s going on in Billy’s mind, and I felt that some of the major points in the book were either omitted entirely or weren’t sufficiently explored. The rather odd “happy ending” that is tacked on therefore came as less of a surprise than it should have done. 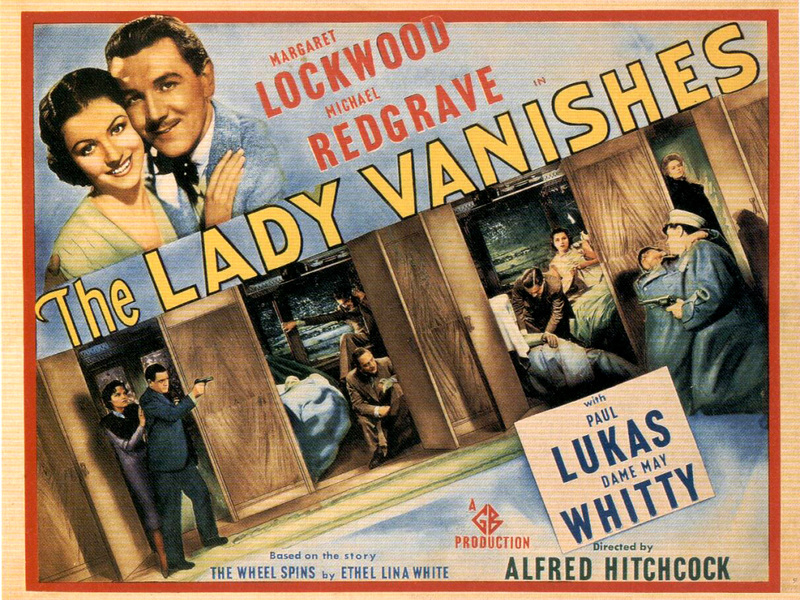 This is the book that has been made into more than one version of a film under the title of The Lady Vanishes. 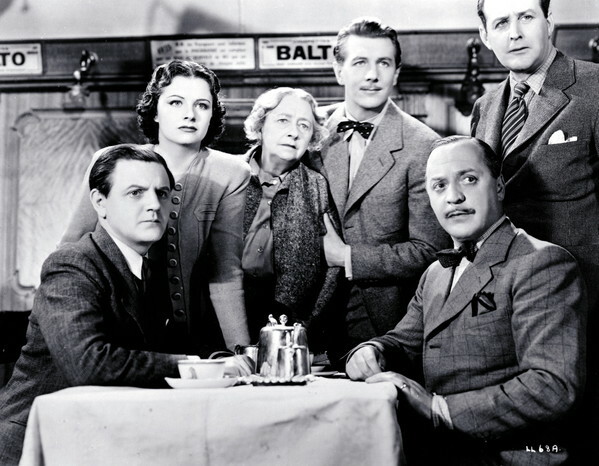 The basic plot is very similar – Iris is struggling to get anyone to believe her story, partly because she has made herself unpopular with her fellow travellers, and partly because each of those travellers have their own reasons for not wanting to get involved in anything that might delay the journey. But Iris is determined to find out what has happened to Miss Froy, as much to prove herself right as out of genuine concern for the other woman. We first meet Iris when she and a group of her friends are staying at a hotel in the mountains. They are modern and loud, with the arrogance of youth, and are entirely unaware and uncaring that they are annoying the other guests. When Iris has an argument with one of her crowd, she decides not to travel home with them, but to wait a day or two and go on her own. But as soon as they leave, she begins to realise how lonely and isolated she feels, especially since she doesn’t speak a word of the local language. 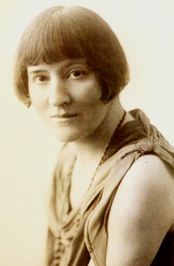 White is excellent at showing the superior attitude of the English abroad at this period – the book was published in 1936. When the locals don’t understand her, Iris does that typically British thing of speaking louder, as if they could all just understand English if only they would try a bit harder. White also shows how Iris and her gang use their wealth to buy extra attention, and Iris’ assumption that money and looks will get her whatever she wants. All this makes the book interesting reading, even if it doesn’t make Iris a terribly likeable character. Once the mystery begins, White adds an extra dimension to Iris’ concern for Miss Froy by making her begin to doubt her own sanity. There are shades here of the way women were treated as ‘hysterical’ – not really to be depended upon, creatures of emotion rather than intellect. 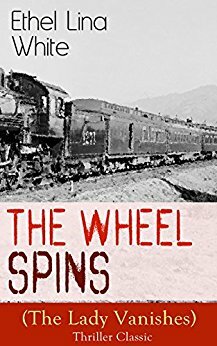 There’s an ever-present threat that the men, baddies and goodies both, may at any time take control of Iris’ life, deciding over her head what’s best for her, and that the other passengers would accept this as normal. With no friends and no language skills, Iris finds herself very alone for almost the first time in her life, and growing increasingly afraid. Oddly, it reminded me a little of Charlotte Perkins Gilman’s The Yellow Wallpaper – the idea that a woman could so easily be declared unstable or even ‘mad’, and find herself treated so dismissively that she might even begin to doubt herself. White’s writing is excellent and, although the motive for the plot is a bit weak, the way she handles the story builds up some great tension. She’s insightful and slightly wicked about the English abroad and about attitudes to women, both of which add touches of humour to lift the tone. And she rather unusually includes sections about Miss Froy’s elderly parents happily anticipating the return of their beloved only child, which gives the thing more emotional depth than I’d have expected in a thriller of this era. 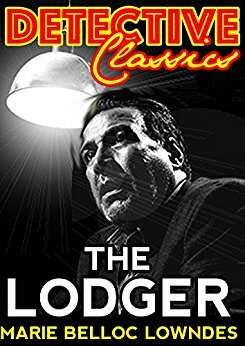 I thoroughly enjoyed the book, and am looking forward to seeking out more of White’s work, and to re-watching the Hitchcock version of the movie. Two young boys grow up side by side in Kabul in the 1970s. Though in some ways they are best friends, they are not equal. The narrator, Amir, is the son of a rich man, whom he calls Baba, and Hassan is the son of Baba’s servant, Ali. Hassan acts as Amir’s servant as well as his friend. But, more importantly in an Afghanistan divided along lines of class and religion, Amir is a Pashtun Sunni, part of the ruling class, while Hassan is a Hazara Shi’a – a group reviled and mocked. 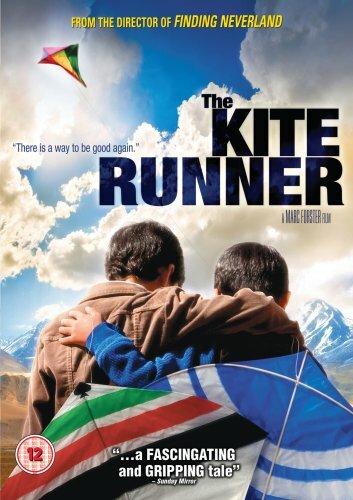 One day, during a kite-fighting competition, something will happen that will drive these friends apart, in a foreshadowing of the wars that will soon break the country apart. Many years later, as Amir returns to Kabul from his new home in America, his mission to put right some of the things left unresolved from his childhood mirrors the question of whether this broken country can ever find resolutions to its bitter divisions. For the most part, the film is a faithful rendering of the book with all the most important plot points (bar one, which I’ll come to later) and lines of dialogue included. The book is written in English, but the film varies the language depending on location, so that much of it is subtitled. Personally, I’m not keen on watching subtitled foreign language films, but I do think the decision makes sense in this film – it would have felt very false if the boys were speaking English in the Kabul sections of the film. The two young child actors who play Amir and Hassan are very good, both managing to give their performances a feeling of naturalness. In fact, the casting in general is fine – no performance stood out for me as particularly great, but equally none were bad, so it has the feeling of a true ensemble piece rather than a star vehicle. When watching a film soon after reading the book, I find it can be quite hard to know how well the story is being told. In this case, I felt that I may well not have got the nuances had I not read the book. The story has two main strands – Amir’s guilt over what he sees as his betrayal of Hassan, and the parallel being drawn between the breakdown of their friendship and the horror of what is happening to Afghanistan. Amir’s desire for redemption is a personalisation of the question of whether Afghanistan can ever be put back together again with its own divisions healed. In the film, I wasn’t convinced that Amir’s guilt came over terribly well, meaning that he actually came over as rather unlikeable and unsympathetic. (Admittedly, I didn’t sympathise with him in the book as much as I felt I was expected to either.) But I didn’t think the parallels between the personal and political came over clearly in the film at all, leaving it as simply a story of Amir’s personal journey rather than a symbol of the nation’s struggle. …but that wasn’t nearly as bad as my second bout of unseemly laughter, which I do feel really bad about, since the subject matter certainly isn’t amusing. When Amir has returned to Kabul as an adult, he is trying to contact a man who might be able to help him find Sohrab, the boy he’s looking for. He attends a football match, and at half-time the officials bring on a man and a woman who have been found guilty of adultery. In a scene of horrific brutality, the woman is then stoned. In the book, it’s a particularly powerful moment, showing the utter inhumanity of life under the Taliban. 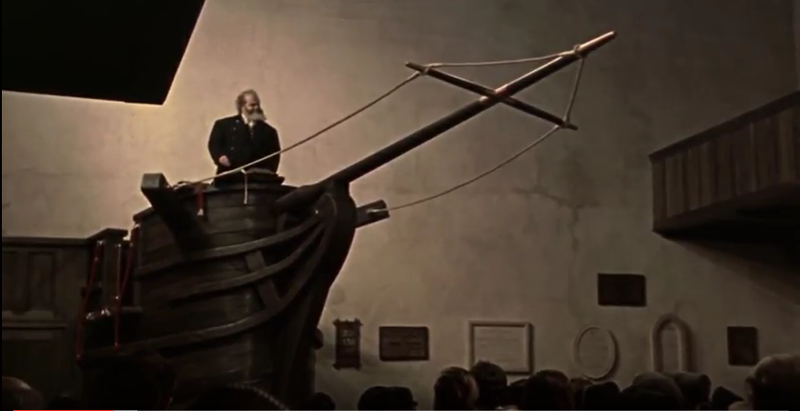 In the film… well, unfortunately, the profusion of false beards suddenly made me think of The Life of Brian… look! Here’s a screenshot… is it just me? 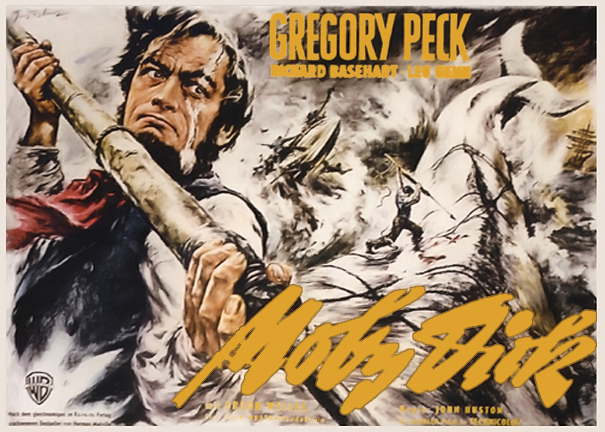 I fear it probably is… but whether or not, it totally destroyed the drama for me as all I could hear in my head was Brian’s mother saying “He’s a very naughty boy!” And I must say, the film’s superficial portrayal of the horrors of the Taliban regime felt about as authentic as Monty Python too. After that, the film never really recovered for me, I’m afraid. So when, for reasons entirely unexplained, the director chose to turn the major climax into a kind of action thriller scene and followed it up by totally omitting the bit that explains the final trauma which drives young Sohrab into muteness, I wasn’t as bothered as I otherwise might have been, since I’d been thrown completely out of the story by then anyway. I know this sounds as if I hated the film, and I really didn’t. As I said, it’s mostly a faithful reproduction of the book and is worth watching. But, for me, it didn’t achieve either the depth or the feeling of the original, and in the end felt workmanlike rather than wonderful. 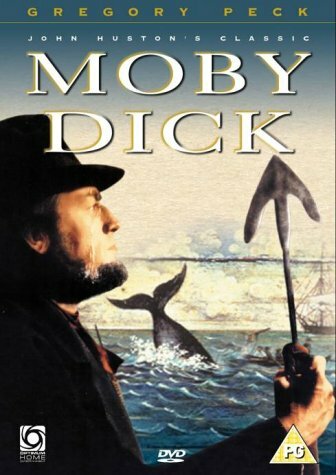 My first complaint is that Melville clearly couldn’t decide whether he was trying to write a novel or an encyclopedia of whales. I would suggest that the bullet point list really plays no part in fiction, and that any time an author feels the need to use it, then he should step back and wonder if he’s on the right track. Pages of descriptions of all the different types of whales might be interesting if you happen to be interested in that kind of thing, but a novel isn’t the place for it. 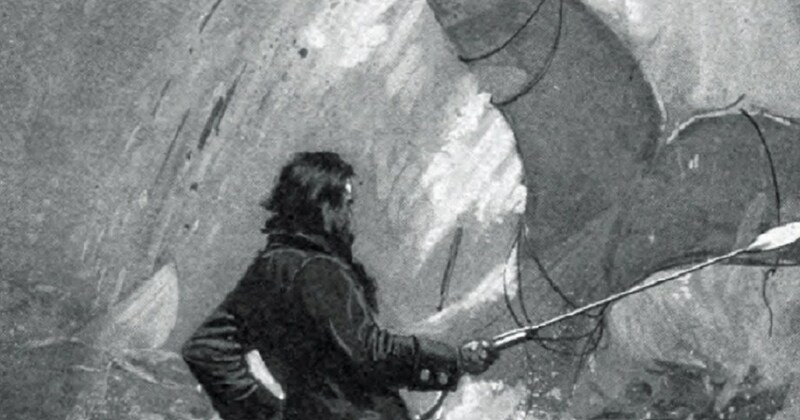 Thirdly, and I grant you Melville is by no means the only writer guilty of this one, if you’re going to use a first-person narrative then you can’t suddenly tell the reader all kinds of things the narrator couldn’t possibly know – like what other people are thinking! Or verbatim reports of conversations when the narrator wasn’t present. Not if you want to be taken seriously as a good writer, at least. 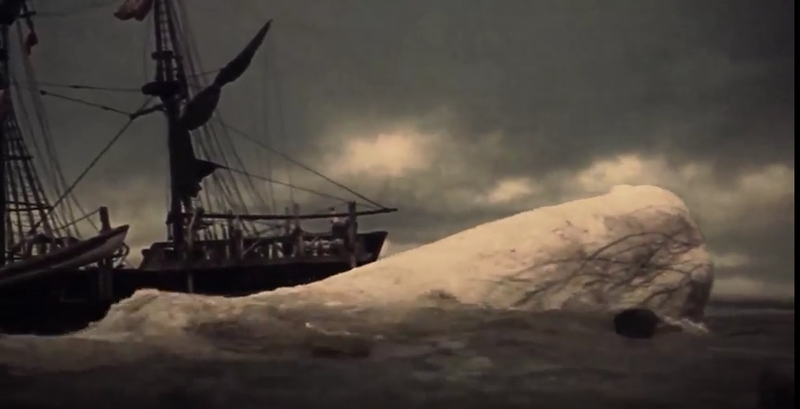 There are bits that are good, when Melville stops trying to be stylistically clever and just tells a plain yarn: for instance, the story of the mutiny aboard another ship, or when Stubbs tricks the crew of the Rosebud into giving him the whale containing ambergris. The major problem, though, is the almost total lack of narrative drive. The book is nearly a quarter done before we even meet Ahab, the whole of that first section consisting of description after description, first of places, then of people. I was bored out of my head before the story even began. 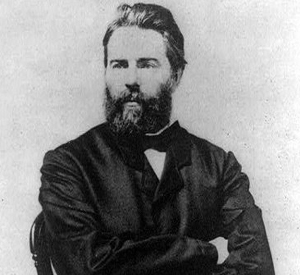 Then, having finally begun, it constantly stops again for vast swathes of time while Ishmael/Melville gives us all kinds of irrelevant information in what must be one of the earliest examples of info-dump: for example, when he gives us pages upon pages of him rubbishing all previous artists, writers and naturalists who have drawn or written about whales. 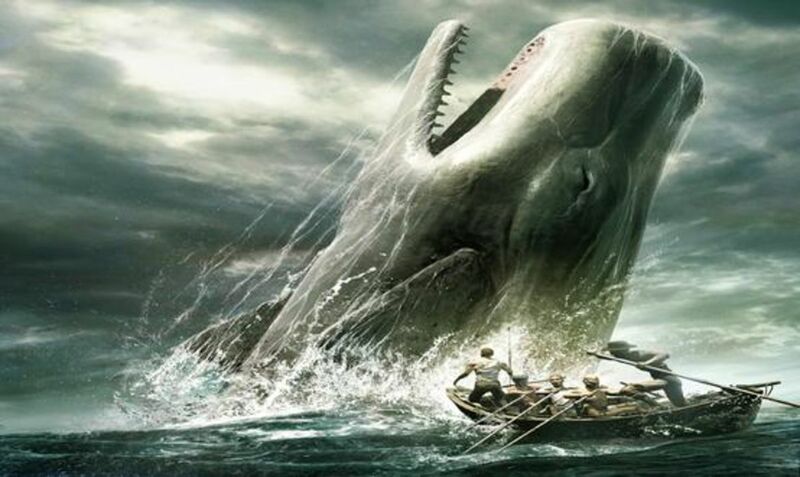 The eponymous whale doesn’t appear until the book is 93% done. So, to conclude, well written in parts, badly written in others. Lacks narrative drive – by my reckoning the actual story part probably only takes up about 10% of the whole book. The mock Shakespearian language and pastiching of his style is a strange and, in my opinion, unsuccessful stylistic choice. I understand the book was first rejected by publishers and then failed to sell for decades after it finally was published, both of which sound about right to me. The bit that baffles me is why later generations have declared it “great”. My verdict – shows potential in places but requires a severe edit to rid it of all the extraneous nonsense and to improve the narrative flow. So, is it a Great American Novel? Two young boys grow up side by side in Kabul in the 1970s. Though in some ways they are best friends, they are not equal. The narrator, Amir, is the son of a rich man, whom he calls Baba, and Hassan is the son of Baba’s servant, Ali. Both boys are motherless: Amir’s mother died in childbirth, while Hassan’s mother ran away not long after he was born, leaving her husband to bring Hassan up alone. Amir is being educated, Hassan is illiterate and likely to remain that way. Hassan acts as Amir’s servant as well as his friend. But, more importantly in an Afghanistan divided along lines of class and religion, Amir is a Pashtun Sunni, part of the ruling class, while Hassan is a Hazara Shi’a – a group reviled and mocked. 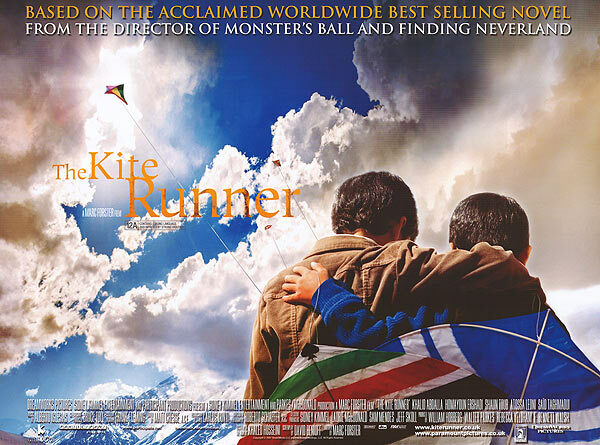 One day, during a kite-fighting competition, something will happen that will drive these friends apart, in a foreshadowing of the wars that will soon break the country apart. Many years later, as Amir returns to Kabul from his new home in America, his mission to put right some of the things left unresolved from his childhood mirrors the question of whether this broken country can ever find resolutions to its bitter divisions. The first half of the book, which tells of the boys’ childhood and the event that changed their lives, is beautifully written, full of emotional truth. It is written in the first person from Amir’s point of view and he is a harsh judge of his younger self. He shows himself as weak and cowardly, traitorous even, while Hassan is all that is good and loyal and brave. Amir feels his father blames him for his mother’s death, and is jealous that Baba often seems to show as much fondness for Hassan as for himself. While Hassan is a little too good to be true, it feels as if this is deliberate – that Amir’s guilt over his own actions has led him into idealising his childhood friend. And the reverse of that is that Amir’s depiction of himself also has to be seen as being affected by the same guilt, so that while sometimes it’s hard to like him, it’s still easy to empathise – to remember that he was a child and to look at how both boys had the prejudices of their society instilled into them from birth. We also see how Amir is affected by the struggle to gain his father’s affection despite feeling that he could never be the kind of boy his father wants his son to be. For me, the second half of the book didn’t completely match up to the excellent standards of the first. Amir and his father flee the wars and end up in America. There is a lengthy section about their experiences there, and perhaps I’m just a little tired of the “immigrant experience” storyline now; it seems to have been done too often over the last couple of decades, and I didn’t feel this one added much to either that subject or this story. It feels like something of a hiatus, and a little contrived – a device almost, to allow Amir to return later to Kabul, looking at it through fresh, adult eyes. 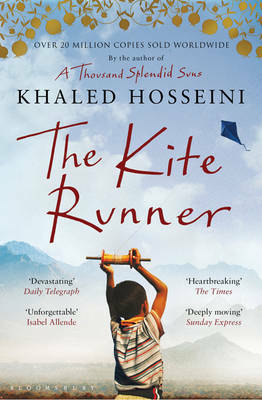 And when he does go back to Kabul, to show the horrors of life under the Taliban, it begins to verge on the polemical. “Why are you saying these things?” I said. This is a minor criticism though of what is, overall, a great book. I was thinking as I read the second half that it may well have affected me differently thirteen years ago when it was first published – I would have known far less about Afghanistan and almost nothing about the Taliban, and I suspect I would have found the book more shocking and gut-wrenching as a result. Now, if anything, the picture he paints seems a little muted – how easily we become conditioned to horror. Now the first half seems beautifully novelistic, but the second half feels almost journalistic, and the ending didn’t convince me nearly as much as the story of Amir and Hassan as children. I’m glad to have read it, though, and highly recommend it. 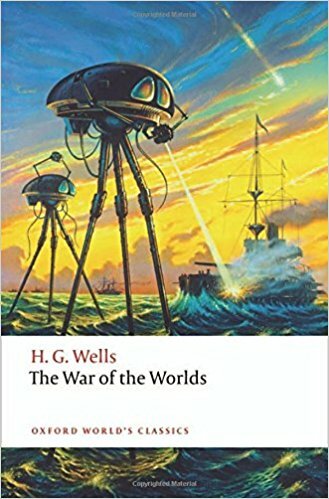 I suspect it’s a book that will find its full impact again if and when we ever reach a point where this never-ending conflict is past and fading into history. As soon as the delightful title music of Ron Goodwin starts up, it’s clear this is going to be a fun romping version of Agatha Christie’s story. 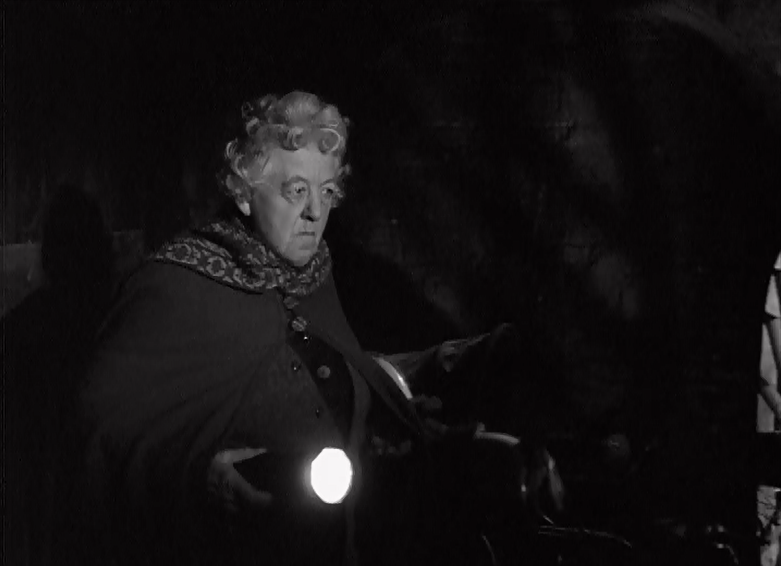 Apparently Christie disliked these Margaret Rutherford adaptations, and I can see why. They are not what you would call faithful to the originals and Miss Marple is not the sedentary observer of human nature we all know and love. But for once I don’t care – the films are brilliant and just as entertaining as the books, if in a different way. 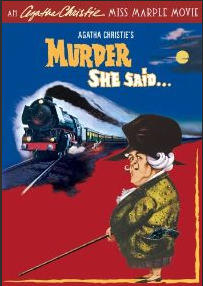 Murder, She Said was the first of the four Miss Marple movies in which Rutherford starred and, despite some major changes, actually sticks fairly closely to the basic plot of the book. As the series went on the divergences from the books grew ever wider and the final movie, Murder Ahoy!, wasn’t even based on any of the books at all. First of all, poor Elspeth McGillicuddy has been cut completely, as has housekeeper and assistant sleuth, Lucy Eyelesbarrow. 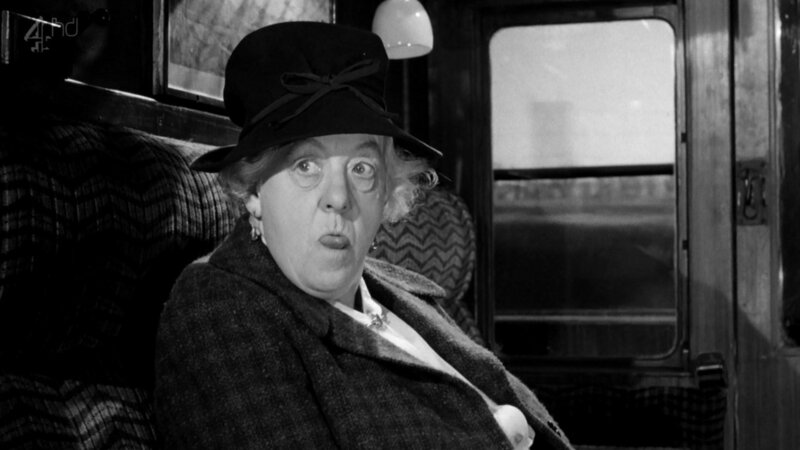 Now it’s Miss Marple herself who sees the murder through the train windows. 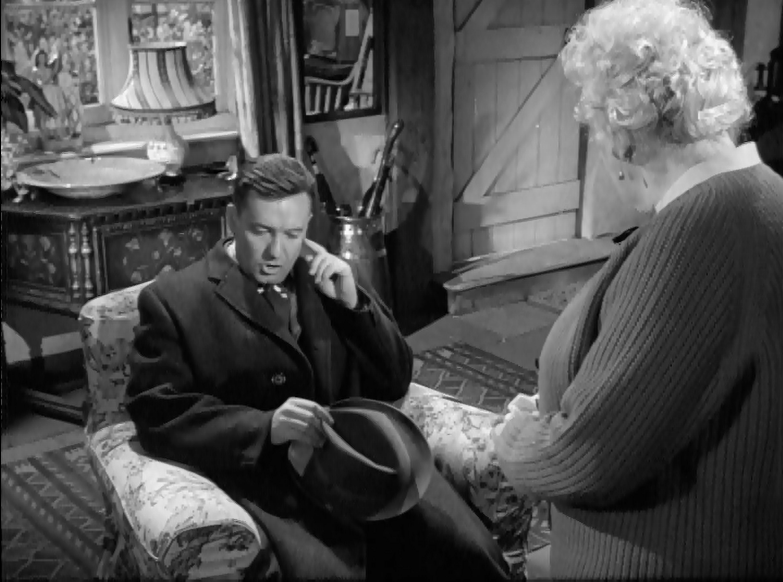 When the police fail to find a body, Inspector Craddock (Charles Tingwell) tries to persuade Miss Marple that she must have seen a couple… ahem… honeymooning, as he so delicately puts it. On Miss Marple pointing out in no uncertain terms that, spinster she may be, but she can still tell the difference between a bit of “honeymooning” and strangulation, Inspector Craddock subtly suggests that she must be dotty. While the purist in me is shaking her head disapprovingly about these wholesale changes, I do understand them. Unlike Poirot, often Miss Marple doesn’t have a huge role in the books, tending to perform her miracles somewhat in the background of the action. She doesn’t really investigate as such – she merely listens and applies her knowledge of human nature to get to the truth. 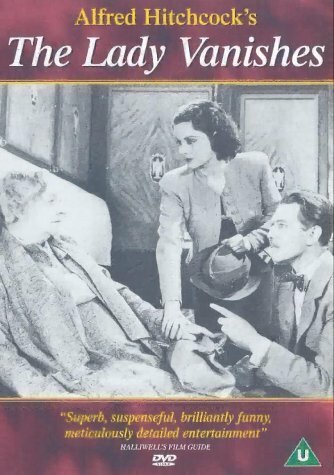 In this book, Lucy Eyelesbarrow is the central character with only occasional appearances from Miss Marple herself. 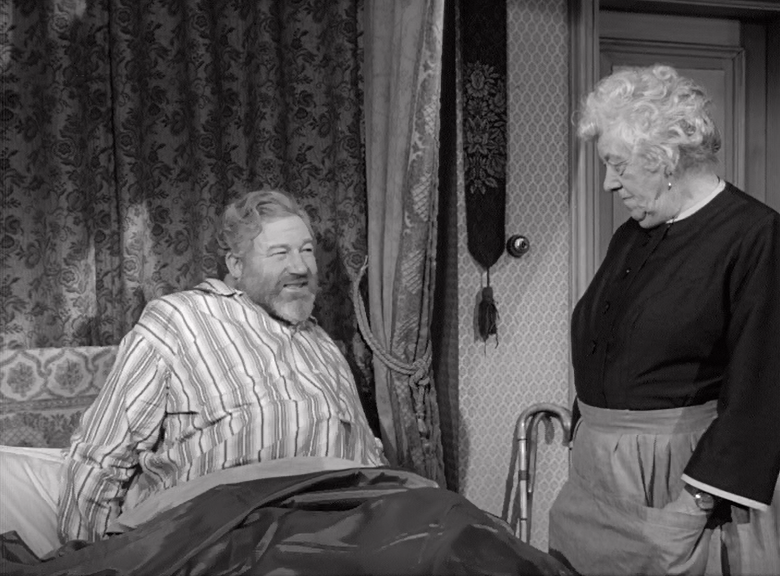 But if you’ve booked the wonderful Margaret Rutherford to star in your movie, you want her pretty much in every scene, or else you might find yourself lynched by an angry mob of disgruntled Rutherford fans… including me! So this version of Miss Marple carries out all the investigative work herself, helped only a little by Inspector Craddock and the ever-faithful Mr Stringer. In the book, I loved the interplay between the two boys, Alexander and his friend Stodders, and the various adults. Stodders has been ruthlessly done away with in the same mass culling that took Elspeth and Lucy. But Alexander is delightfully played by Ronnie Raymond. (Wondering whatever happened to him, I checked it out and IMDb informs me he quit acting and became an undertaker! I kinda wish I hadn’t checked now…) In the film, he’s an arrogant, cheeky little so-and-so who quite frankly would benefit from a swift kick up the pants, but Jane soon gets him onside and he becomes a kind of assistant sleuth. 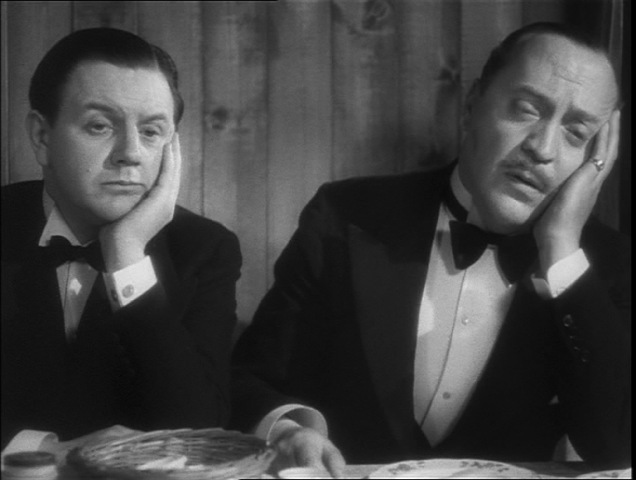 He and Rutherford work beautifully together and provide much of the film’s humour. Just to add to the general jollity, the film throws in some light-hearted mild horror elements – people hiding behind curtains, storms and thunder, lights going out at unfortunate moments, and a gardener of the scowling sinister variety. 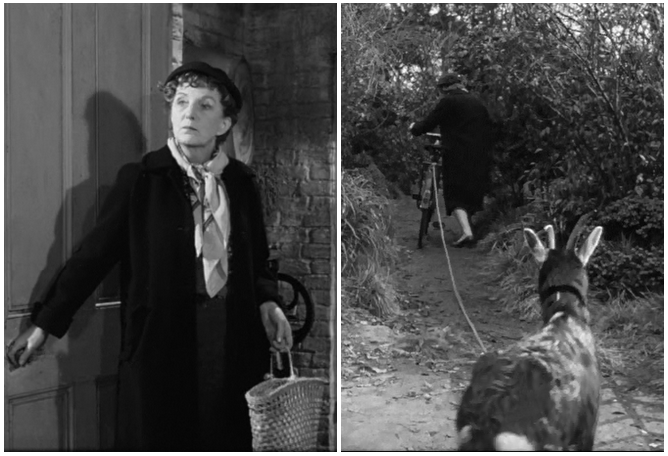 Because of the disappearance of Mrs McGillicuddy, the ending is changed (though the solution is not), and builds up to a tense face-off between Miss Marple and the murderer. 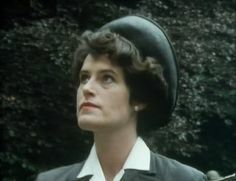 As Inspector Craddock points out, she’s a very brave lady! 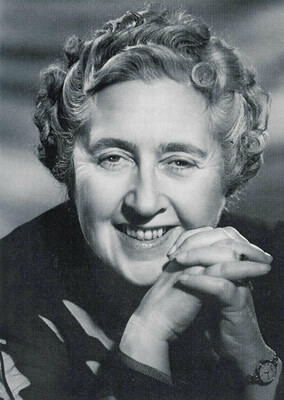 This post is part of the Agatha Christie Blogathon being hosted by Christina Werner and Little Bits of Classics. 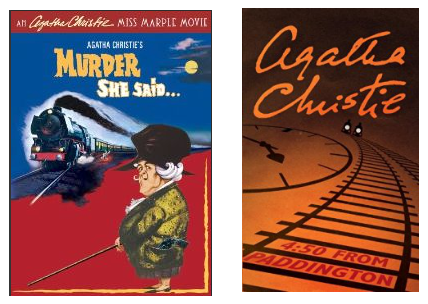 Do pop through to find links to all the great Poirot posts from yesterday, and check back with them over the next couple of days for links to today’s Miss Marple posts, and tomorrow’s posts on anything else Agatha Christie related. This book gets a little criticism for not really having many clues or much actual detection element in it. It’s never quite clear how Miss Marple arrives at the solution, other than her extensive knowledge of human nature. That’s not to say that the solution is unclear; it isn’t – it makes perfect sense. But the route to it isn’t as well defined as Christie’s usual. 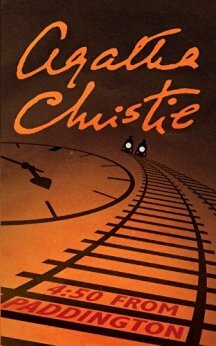 But regardless, this is still one of my favourite Christie books. I love Miss Marple as a character, even more than M Poirot and his little grey cells, and she’s on top form in this one. She gives us some nice village parallels to shed light on the characters of the suspects; she twinkles affectionately at both young Inspector Craddock and Lucy; she does a bit of gentle match-making; and she gives us some classic Delphic pronouncements that leave the reader as beautifully baffled as the other characters. Miss Marple put down her knitting and picked up The Times with a half-done crossword puzzle. 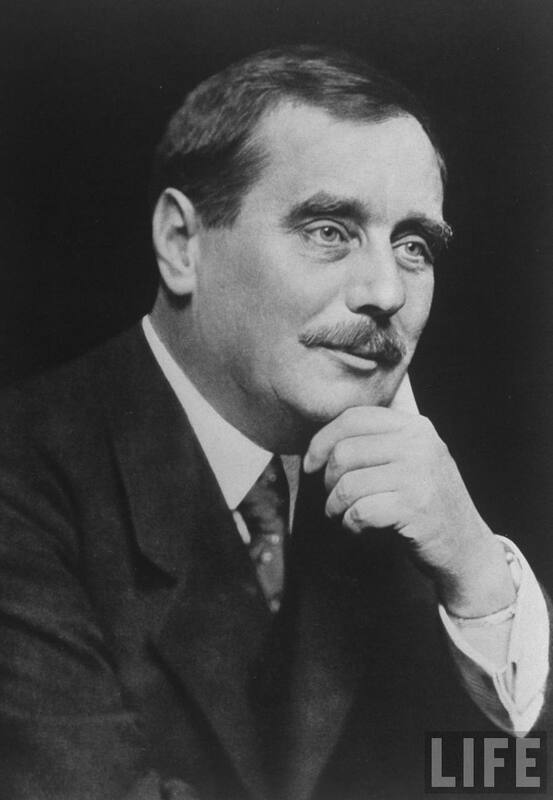 For me, one of the major joys of Christie’s books is that they manage the difficult feat of being full of corpses and yet free of angst – a trick the Golden Age authors excelled in and modern authors seem to have forgotten. She ensures that the soon-to-be victims deserve all they get, being either wicked, nasty or occasionally just tiresome. The dearly-departed’s relatives always take a stoic attitude to the death of their parents/spouses/siblings/children which, while it might not be altogether realistic, is certainly considerably more enjoyable than two hundred pages of descriptions of grieving, sobbing, wailing and general tooth-gnashing. In Christie novels, the emphasis is on entertainment – a mystery and a puzzle to solve, rather than an attempt to harrow the soul. Then there are the two boys, Alexander, the son of a deceased Crackenthorpe sister, and his friend Stodders, both visiting during the school holidays. These two remind me a little of Jennings and Derbyshire, (if you haven’t read the Jennings and Derbyshire books, you really must! Or listen to the audiobooks narrated by Stephen Fry – joyous stuff! ), or perhaps like terribly polite and well brought up versions of Tom Sawyer and Huckleberry Finn. No counselling for these children! No, indeed! When a corpse is discovered, they don’t get traumatised, they get out there looking for clues! 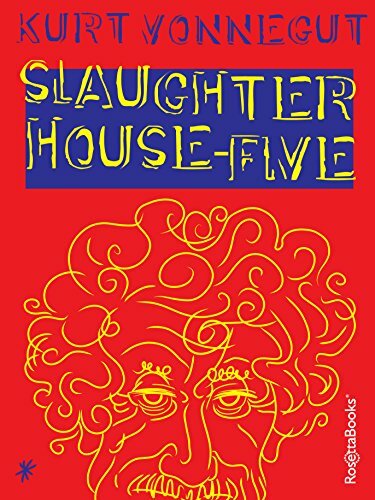 In which pursuit they are aided and abetted by a bunch of adults who seem to think it’s quite normal, healthy even, for boys their age to be fascinated by all things murderous. 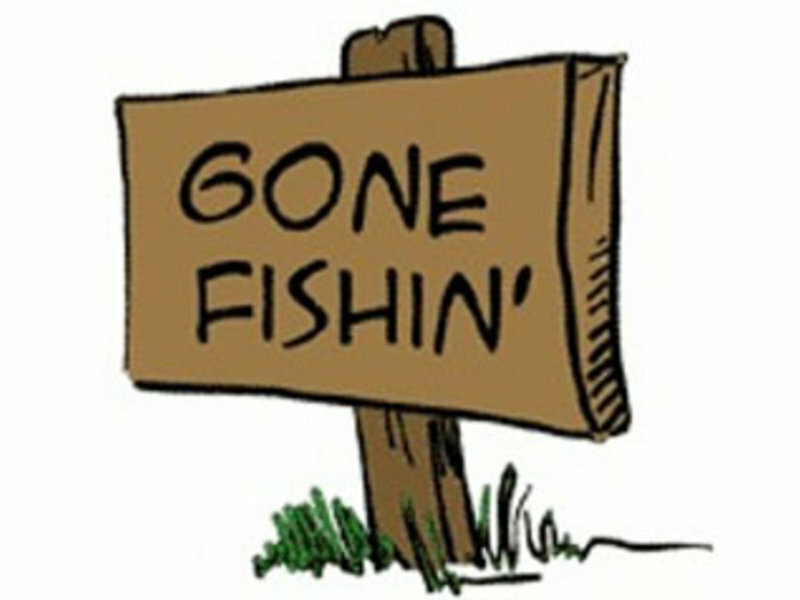 When did we become the wussy, wimpy society of today, molly-coddling our children and trying to keep all of the world’s nastiness away from them? Miss Marple is one of the sleuths selected by Martin Edwards for his list of Ten Top Golden Age Detectives – an essential inclusion! 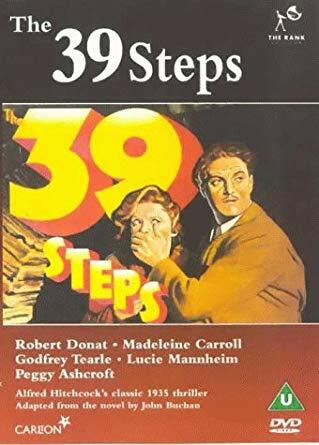 I shall be reviewing the Film of the Book this Saturday as part of the Agatha Christie Blogathon being hosted by Christina Werner and Little Bits of Classics. I do hope you’ll pop back – the event should be loads of fun! This is Book 1 of my Classics Club list. In my review, I described the novel as a masterclass in how to write a book, so the film had a high standard to reach. Unfortunately, this is one case where making a direct comparison worked significantly to the detriment of the film. The first thing I noticed was how brightly shot and coloured the movie is. England looks like a green and pleasant land. Normally I’d appreciate this kind of visual treat, but the book shows a much bleaker England, where everything is cold and grey, where three years of war have taken their toll on the land and environment as much as on the people, who are tired and undernourished. The film mentions briefly the lack of normal foodstuffs, but gives no real feeling for the deprivations people were undergoing. The same applies to the cold – with coal rationing meaning that even indoors heating was barely adequate. 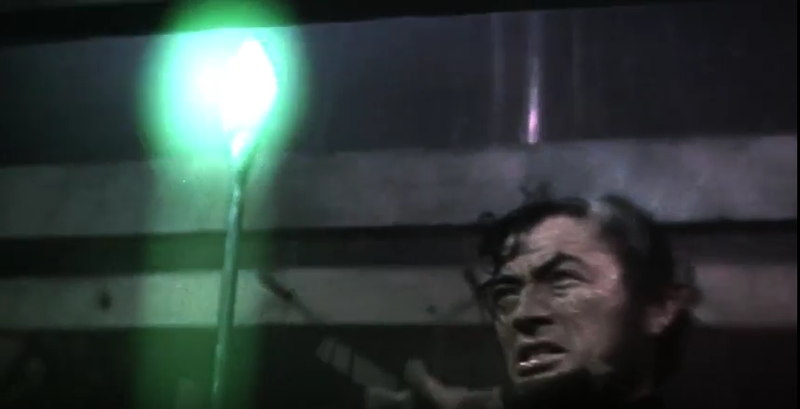 In the film, the sun shines constantly. As a result, the atmosphere that Harris creates in the book of a country struggling to survive, desperate for the supplies sent from the US on shipping convoys, never really materialises. While both Dougray Scott and Kate Winslett give fine performances, neither of them convinced me as the characters from the book. Scott is too old to be a man so thrown by losing his first love that he has a breakdown. One wonders why he has never been in love before, and also why he would have been naive enough to fall so heavily for Claire or believe that she had fallen for him. Winslett, one of my favourite actresses, is way too beautiful to be Hester. 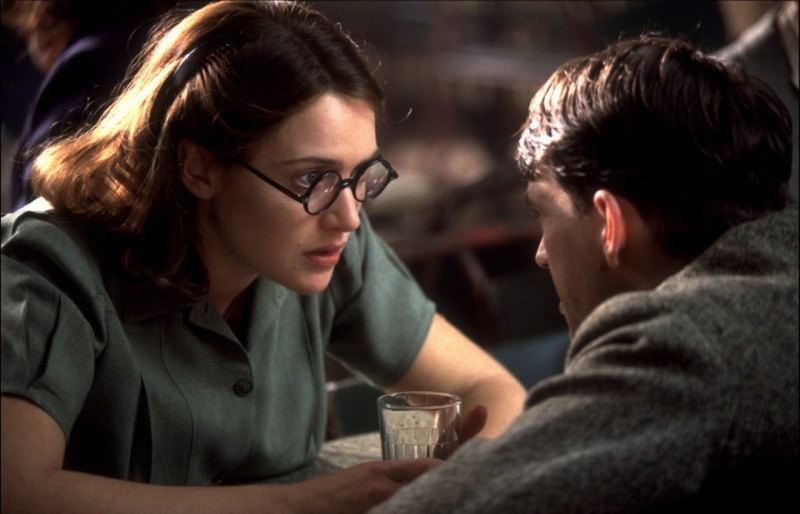 I had an urgent desire to tell Apted that sticking a pair of specs on a beautiful woman does not make her plain – I thought we’d got past that stereotype around about the same time as we came out of rationing. 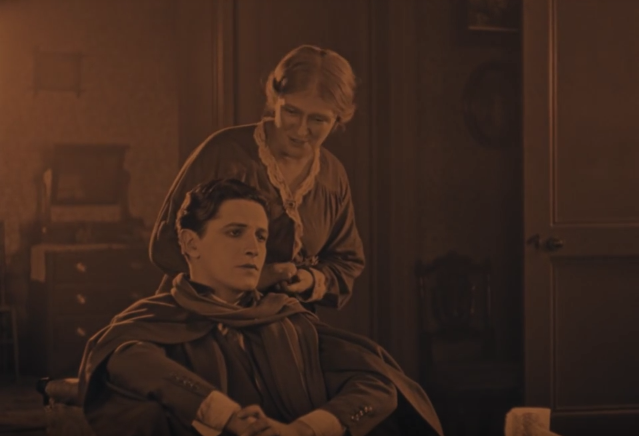 Of course, it was important in the film that Hester was beautiful because the decision had been made, in typical Hollywood style, to have Jericho and Hester fall in love, and women, as we know, can only attract a man by being beautiful – in Hollywood. I don’t know whether that’s more insulting to men or women, in truth. But it did make me laugh that as she evolved into the love interest, Hester wore her specs less and less till eventually they disappeared altogether. Apparently it’s still true that men don’t make passes at girls who wear glasses! 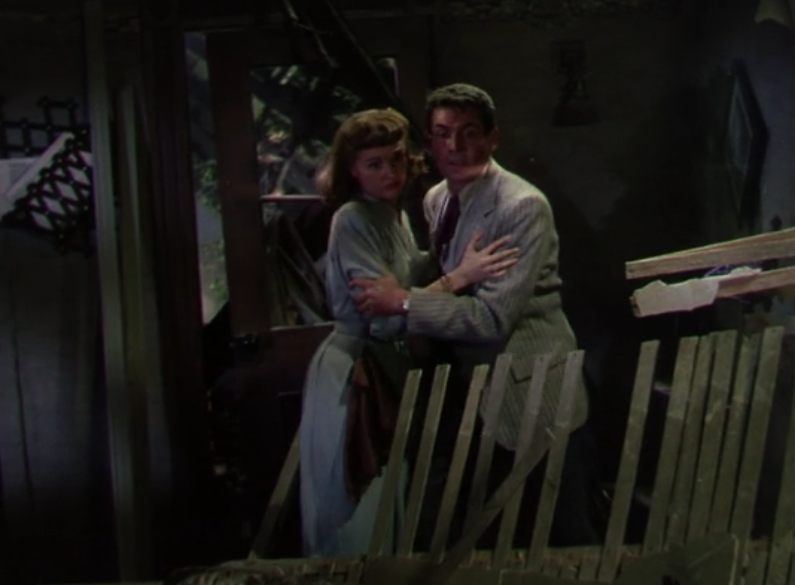 Apart from the insertion of the love story, the film sticks pretty closely to the underlying plot of the book, though in a somewhat abridged form due to time constraints. However, there are some major changes towards the end in the way the story plays out. I could understand why this had been done – the climax of the book doesn’t have the level of action we’ve come to expect from movie thrillers – and it didn’t hugely affect the overall storyline. But it did lead to some clumsiness that again took away from the authenticity of the wartime atmosphere. Trying to avoid spoilers, the idea that Jericho could suddenly decide to drive hundreds of miles with no word of where he might have got strictly rationed petrol was nearly as ridiculous as the suggestion that the police could search a car and not notice a massive great machine hidden under the folded-down roof. I didn’t mind that they changed the way the story played out, but I was irritated by the fact that they didn’t make enough effort to keep it credible. The abridgement of the story also led to an awful lot of plot explanation being done by the device of characters telling each other things they would already have known. 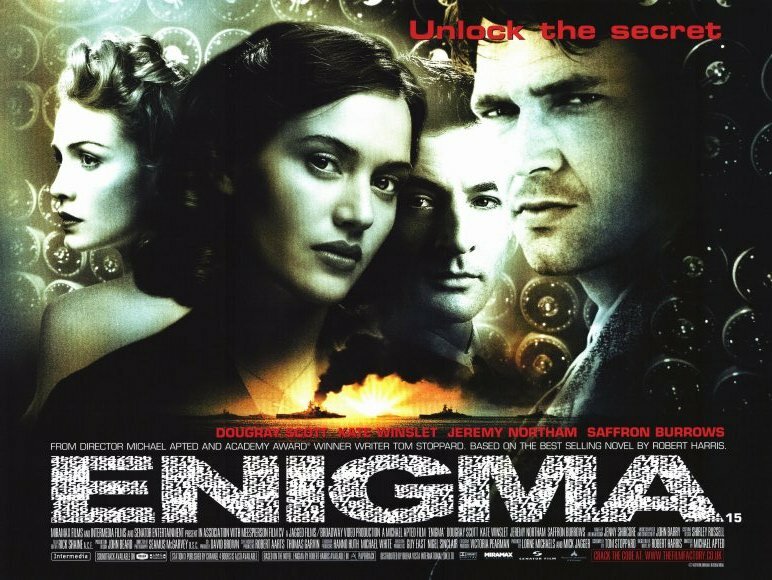 At the beginning, Jericho kindly explains to the Americans how Enigma worked – considering they had been working on building their own code-breaking machines for months, this seemed a little unnecessary. And the code-breakers too kept explaining to each other how they went about their jobs. 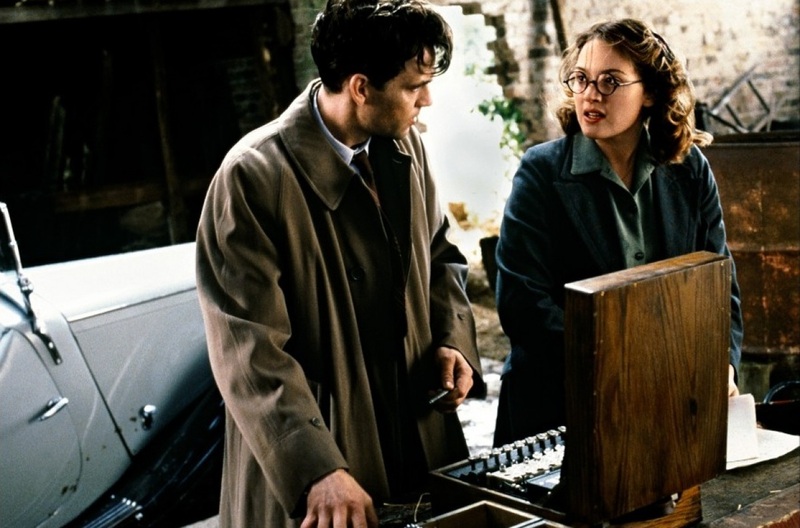 Again, possibly for time or budget constraints, some scenes that I felt would have worked brilliantly on screen simply didn’t appear and again were quickly glossed over with a line or two of dialogue – for example, the heroic retrieval from a sinking U-boat of the original codebooks that gave the codebreakers the information they needed to break the Enigma codes. I know I’ve been highly critical of the film, but the criticisms are mainly in terms of comparison to the book. Without that comparison it’s an enjoyable movie, though it doesn’t have the same levels of atmosphere, depth and authenticity that made the book so exceptional and, where changes have been made, they’ve been made clumsily. One where I think the movie would actually have worked much better for me if I’d watched it before I’d read the book, and thus had lower expectations. 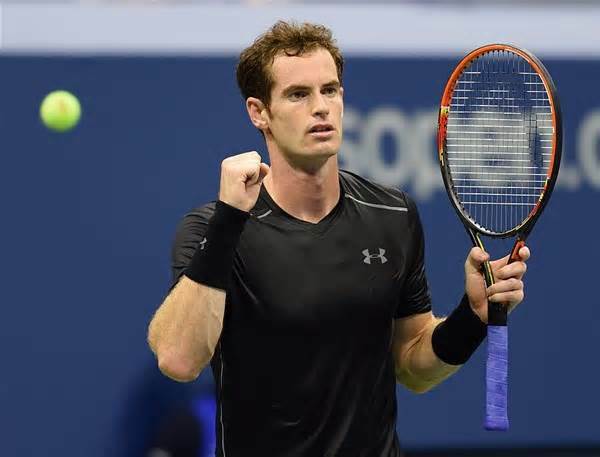 …that the venue for the US Open at Flushing Meadows is built on the site that apparently inspired the Valley of Ashes in The Great Gatsby? What a joy, after a series of less than stellar reads, to find myself in the safe hands of a master storyteller once again! This is a masterclass in how to write a book. The writing is so good it hooks instantly. Harris recreates wartime Britain with what feels like total authenticity; and specifically the world of these men, recruited for their brilliant minds, their maths and puzzle solving skills, on whose youthful shoulders it sometimes feels the whole weight of the war rests. Throughout the book, Harris feeds out his extensive research into Bletchley and codebreaking at the right moments and in the right quantities, as a natural part of the story so that it never feels like an info dump. 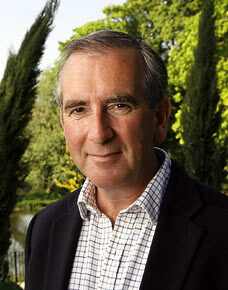 He carefully creates his characters to feel real and then ensures their actions remain true to that characterisation. And oh, bliss! The book has an actual plot – a proper story, that remains credible throughout and holds the reader’s attention right to the end! The pleasure of reading this well-crafted, expertly-paced story highlighted to me what a rarity that has become in contemporary fiction. The book starts in Cambridge University, where Jericho has been sent to recuperate. The whole feeling of the ancient university in wartime is beautifully created, setting the tone for the rest of the book. The old staircases and shabby rooms, the ancient traditions; the dullness of an institution empty of so many of the young men and women who would normally have been there, but who are instead part of the war effort; the gossiping staff with too much time on their hands, speculating about the arrival of this young man and then his sudden departure; the difficult position of young men not in uniform, but whose work is too secret to be revealed. On arriving back at Bletchley, Jericho finds that two convoys have left the US and are crossing the Atlantic. The Americans want assurances that the codes will be broken quickly enough to allow for these convoys to be protected, but Jericho sees no hope of that. Instead, he believes that by monitoring the signals of the U-boats that will be aiming towards the convoys, he might gather enough information to break the codes. 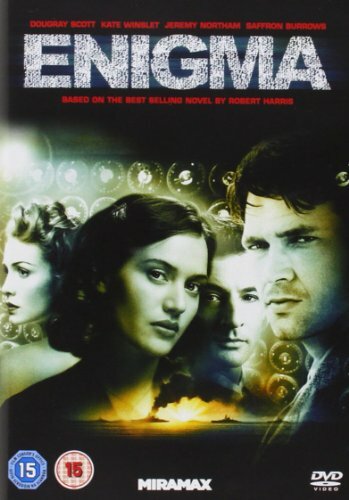 Harris shows very clearly the ethical dilemmas the young codebreakers must face – they find themselves almost hoping for the convoys to be attacked so that they can get the information they need. 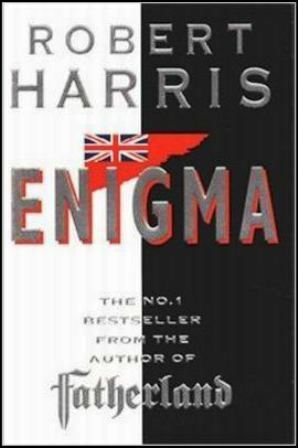 Harris also raises the point that it was often necessary not to act on the information gathered from Enigma so that the Germans wouldn’t realise the codes had been broken and change them. Thus many Allied lives were sacrificed in the hopes of saving many more by eventually winning the war. 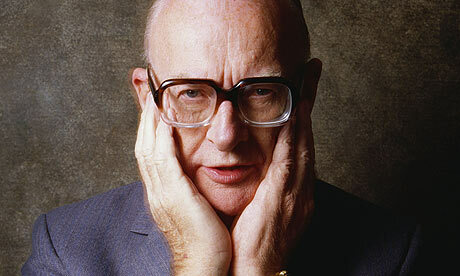 He doesn’t labour these points in a heavy-handed way, but he uses them to show the almost unbearable levels of stress the codebreakers worked under, coupled with the necessary secrecy of the work which left them somewhat detached from the rest of society, in a little bubble of constant tension. No wonder then that suspicion was never absent, the fear of spying a real and present threat. So when Jericho discovers something that forces him to question Claire’s loyalty, he is torn. His head knows he should make the authorities aware of what he’s found, but his heart wants to find her and give her an opportunity to explain. And soon he finds himself teamed up with Claire’s old house-mate, Hester, backtracking through Claire’s actions in an attempt to find explanations. 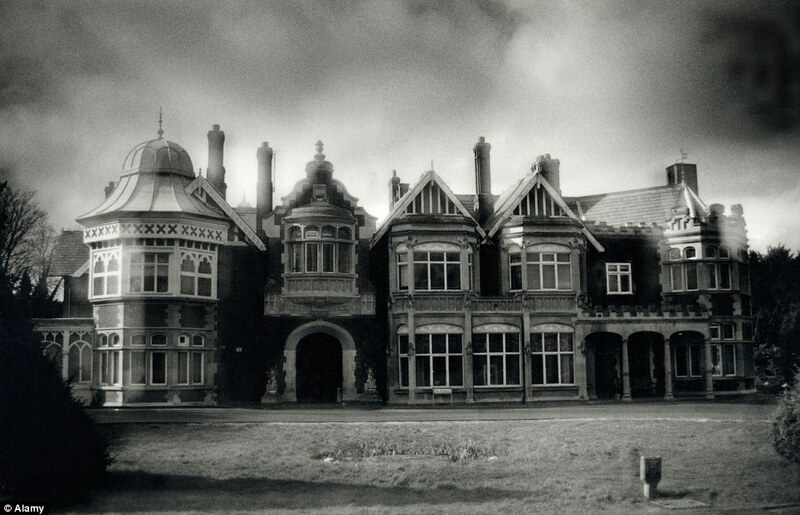 The plot gives Harris the opportunity to gradually lead the reader through how the whole set-up worked, from the soldiers and sailors risking their lives to get hold of code books, to the listening stations on the South Coast where the women of the ATS (Auxiliary Territorial Service) intercepted the coded German signals*, and on to the huts in Bletchley, each responsible for an aspect of the war; Eastern Front, naval manoeuvres, etc. Harris shows how women were restricted to being glorified clerks, regardless of their skills or aptitude, while only men were given the more glamorous job of the actual code-breaking. But his few female characters are excellently drawn, strong and credible within the limitations the system forced upon them. The stuff about the codebreaking is complex, sometimes too complex for me, but the story doesn’t get bogged down in it. As with all of the best spy thrillers, there is a growing sense of moral ambiguity throughout, where even the motives of the baddies are equivocal. This is a film I’ve tried to watch a few times in the past, and on each occasion have given up halfway through in order to prevent death from boredom. So I was intrigued to see whether reading the book would change my opinion of the film. And, boy! Yes, it does!! OK, then. That probably works for people who instinctively “understand” music and painting, but I’m strictly a words kind of gal, which is probably why the film didn’t initially work for me. But having read the book, on this viewing I wasn’t trying to work out what it all meant, or sighing with exasperation at the lack of dialogue. Instead, I was able to watch it as intended – as an amazing visual and sound experience that, once I could get into the flow, took me on a trip as acidy as anything that came out of the ’60s. The first section, the dawn of man, works much better in the book in terms of giving a real insight into the society of the man-apes and how the alien monolith influenced their development. 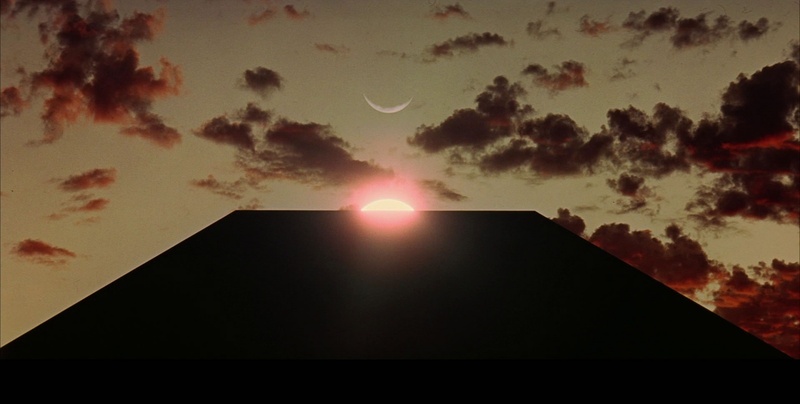 In the film, it’s beautifully shot with some truly glorious imagery, climaxing with the fabulous Also sprach Zarathustra music. The man-apes themselves do unfortunately look somewhat like men in ape costumes occasionally, but I suspect that’s because years of CGI have set our expectations too high. But knowing what was happening meant that it didn’t matter that the film perhaps didn’t get the full meaning across – the book was in my head almost like an explanatory (and unobtrusive) voice-over. 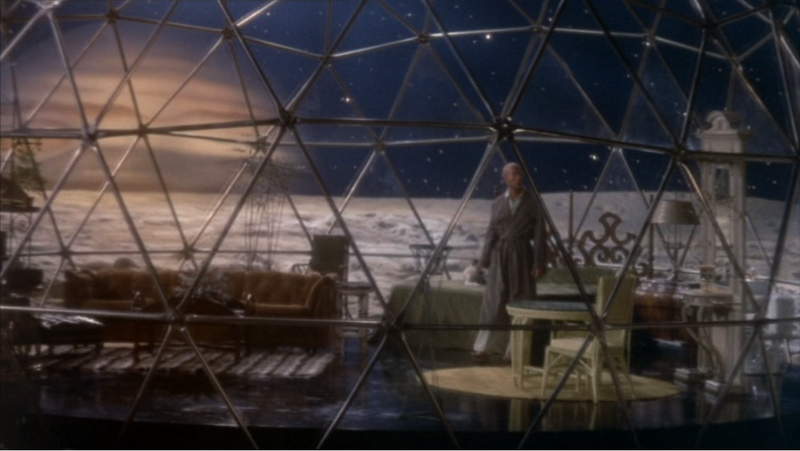 The section on the moon is probably the most dialogue-heavy part of the film, which helps to explain a little what’s going on. It also humanises the film a little, being almost the only place where we see people interacting with each other. 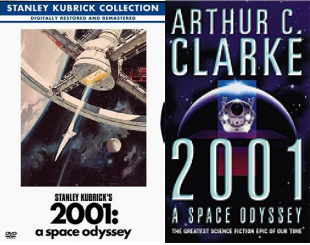 The space journey to Jupiter (unlike in the book, where Saturn is the destination) gives Kubrick the chance to play brilliantly with special effects, especially of weightlessness. The fact that these effects still work some half a century later is pretty amazing, and great to see how he interpreted Clarke’s detailed descriptions of how space flight works. Using Strauss’ Blue Danube waltz as the music during the space sequences is inspired – it works so well with the floatiness of everything that happens in and out of the ship. The film cuts a lot of the sciency stuff out, though – no sampling the crust of comets, nor sling-shotting around Mars and so on – but I did feel in the book that this section got a little bogged down in science, so the film worked well for me here in concentrating more on technical stuff and in moving the story along. 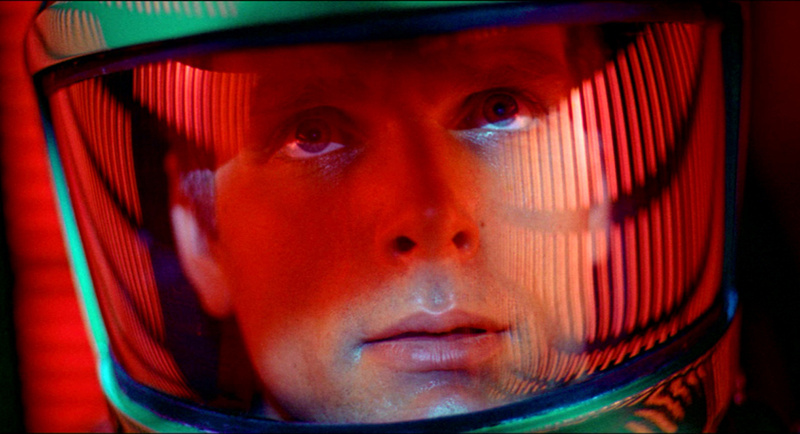 In the film, I’m not at all sure if I would have caught the reasons why HAL, the ship’s sentient computer, begins to malfunction but, again, the book explains this much more clearly, while the film makes it a rather more emotional sequence, I think. 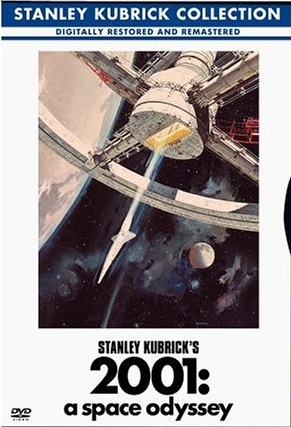 There’s very little opportunity for the actors to shine, since they don’t do much except turn switches on and off and talk to the computer, but actually I was impressed by Keir Dullea’s performance as Dave Bowman. 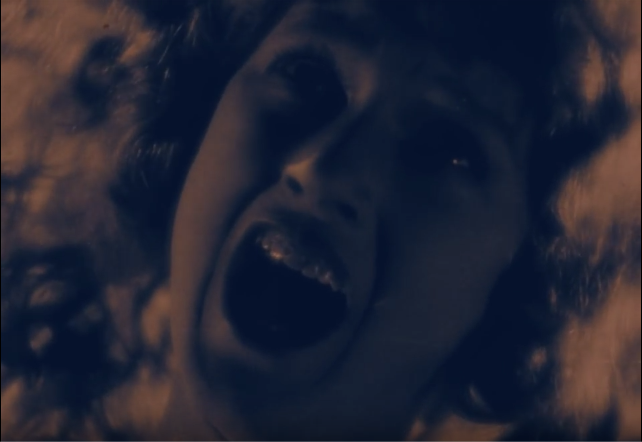 In some scenes, the camera stares directly into his face for extended periods and, with little dialogue, he manages to get across a range of changing emotions very well. But the star of the show (and in the past I’ve always given up before I got to this bit) is the surreal and truly psychedelic sequence in the fourth and final section. All done to some beautifully dissonant modernist music composed by Georgy Ligety, the effects are wonderful – a kaleidoscope of amazingly imaginative spacescapes, ever-changing but in a flow, creating a real feeling of infinity and the awful grandeur and possibilities of the universe. Then a totally surreal section by which, frankly, I would have been baffled if I hadn’t read the book, and finished with what seems like a fairly major variation from the book, but which, on reflection, is certainly within the same philosophical ballpark. I’m telling you, man, it totally blew my mind! Awesome! 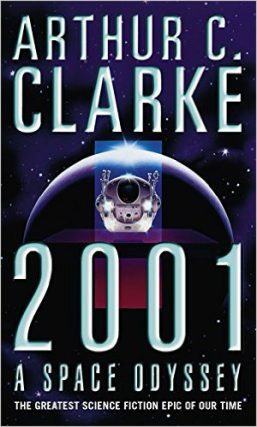 My dear friend wikipedia (to whom thanks for all my newly acquired background knowledge) tells me that Clarke said “I always used to tell people, ‘Read the book, see the film, and repeat the dose as often as necessary’”. I heartily concur, and have an urgent desire now to read the book then see the film all over again. And next time I read the book, I’ll have the fabulous images and music from the film running in my head. Two parts that are differently great but which, together, become something uniquely wonderful.